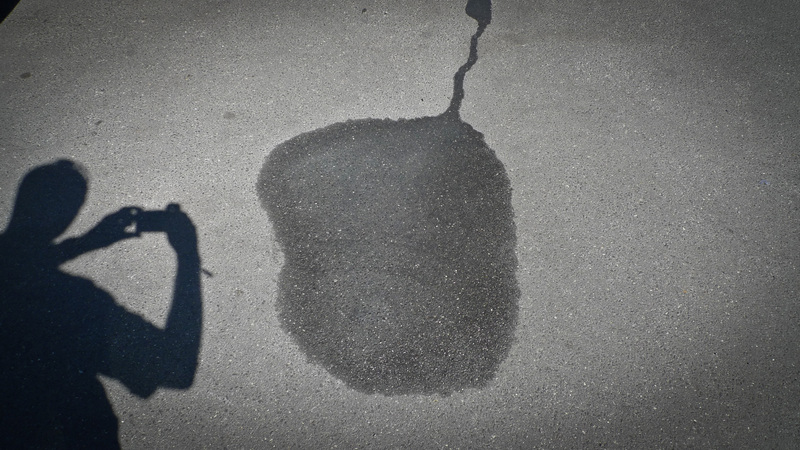 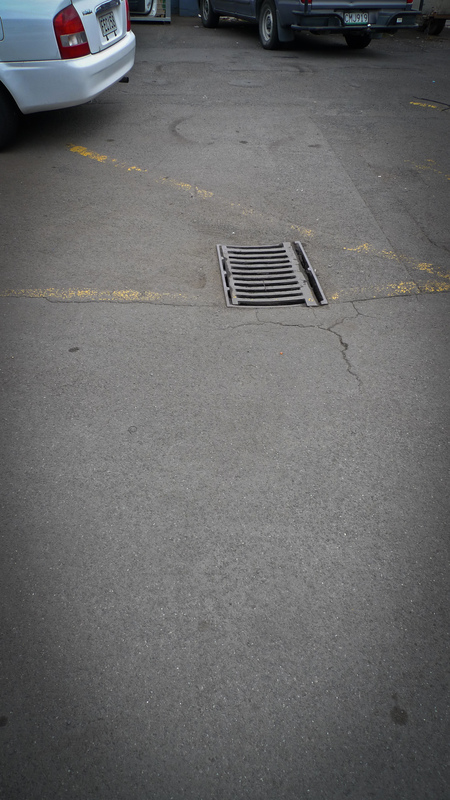 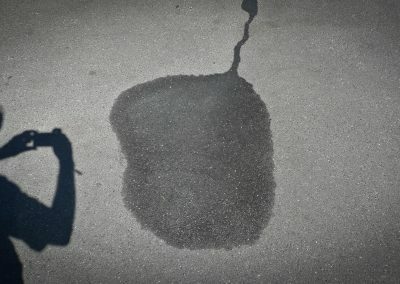 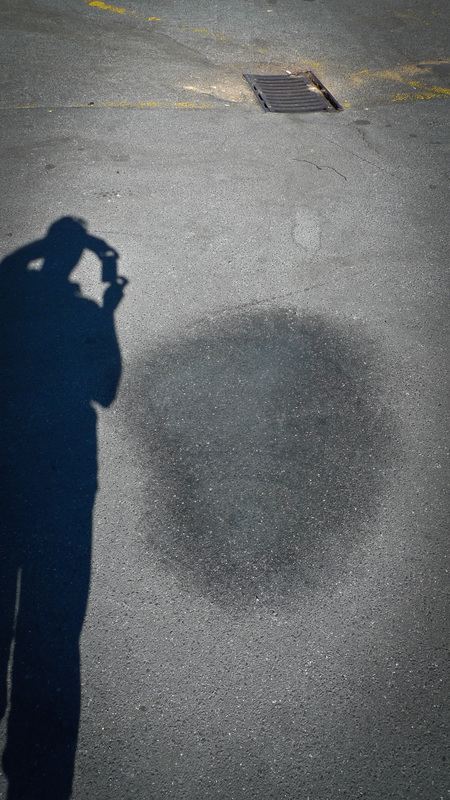 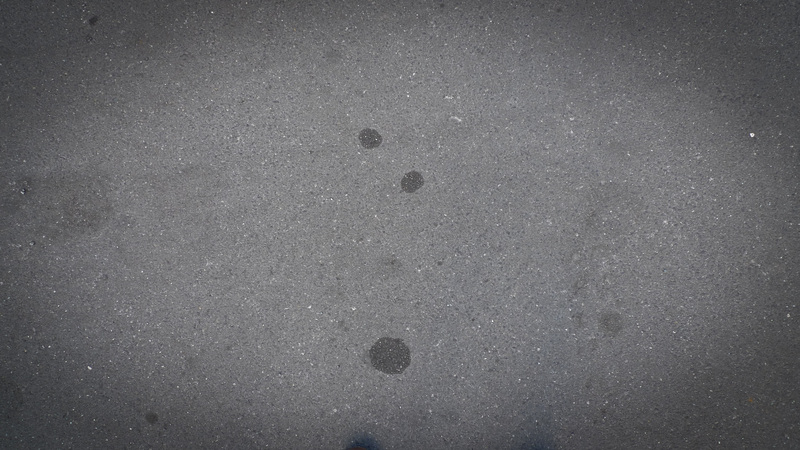 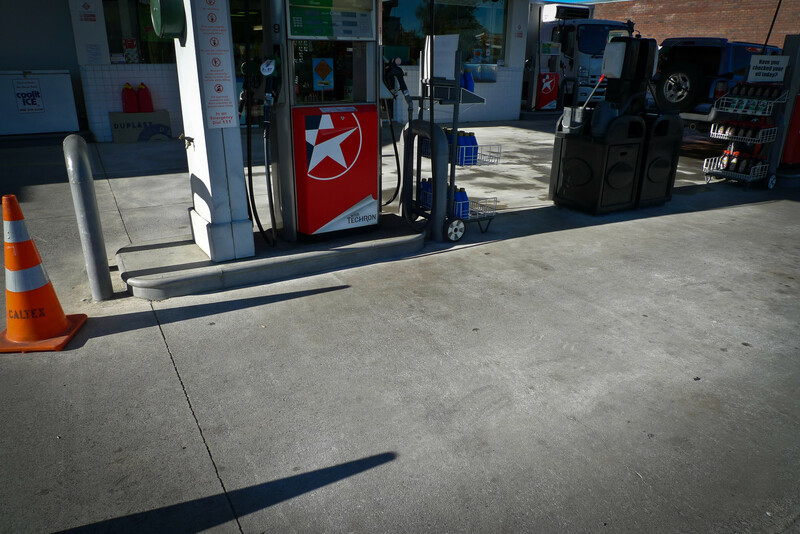 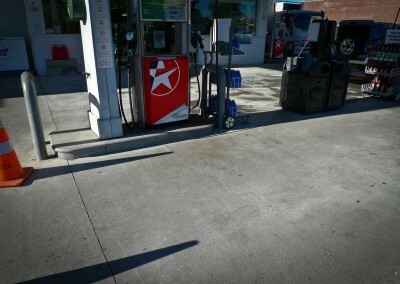 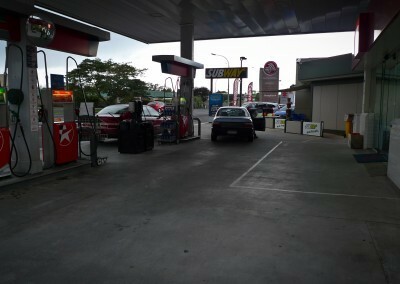 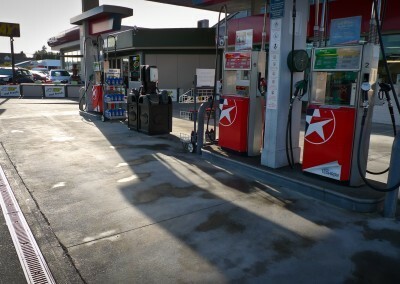 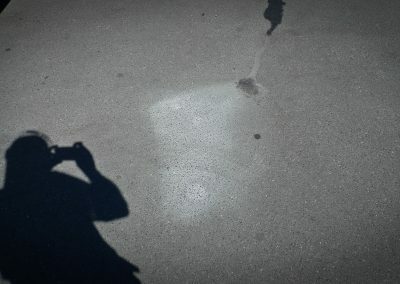 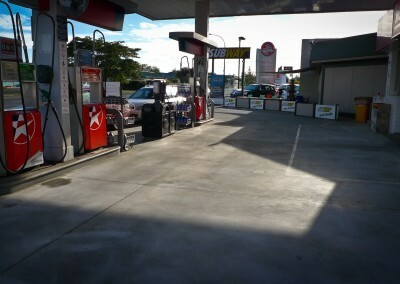 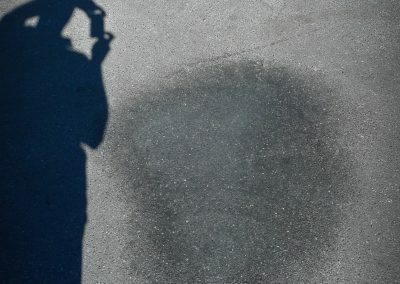 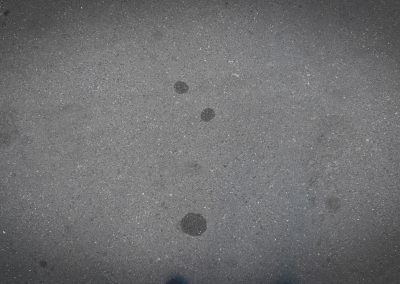 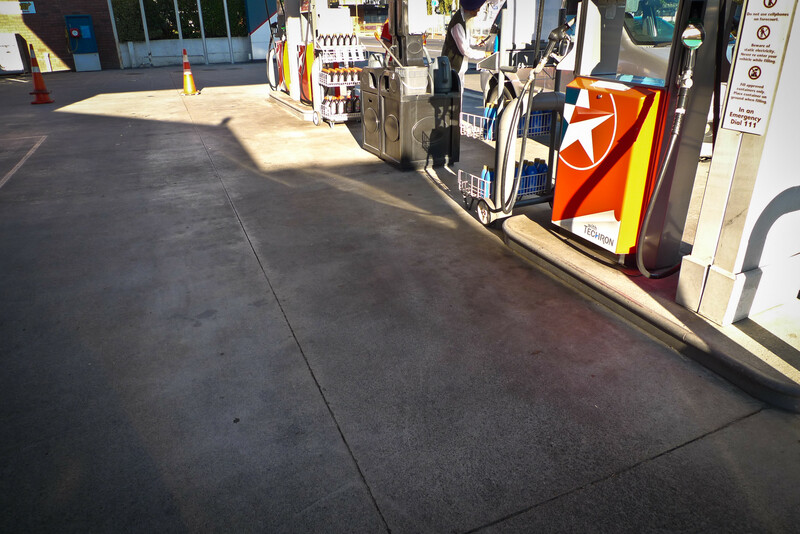 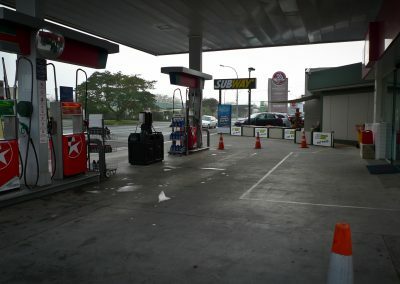 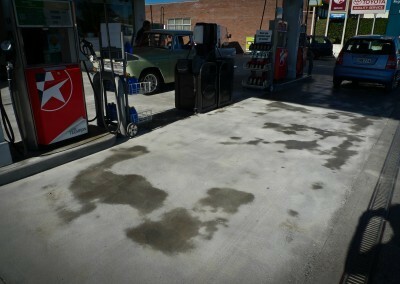 Removal of oil spot stain on asphalt, bitumen. 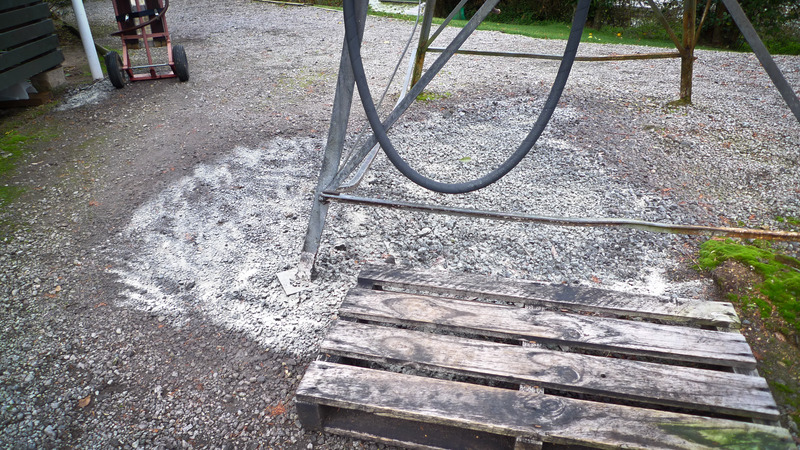 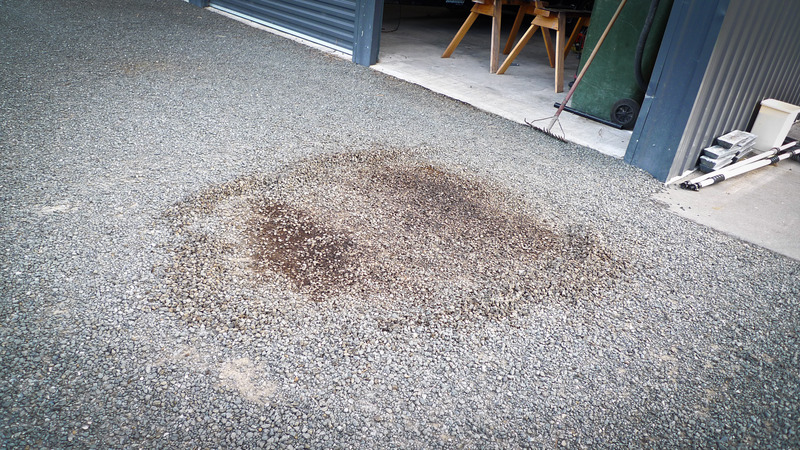 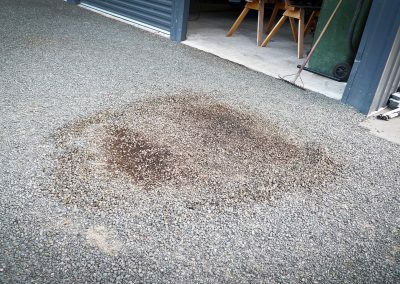 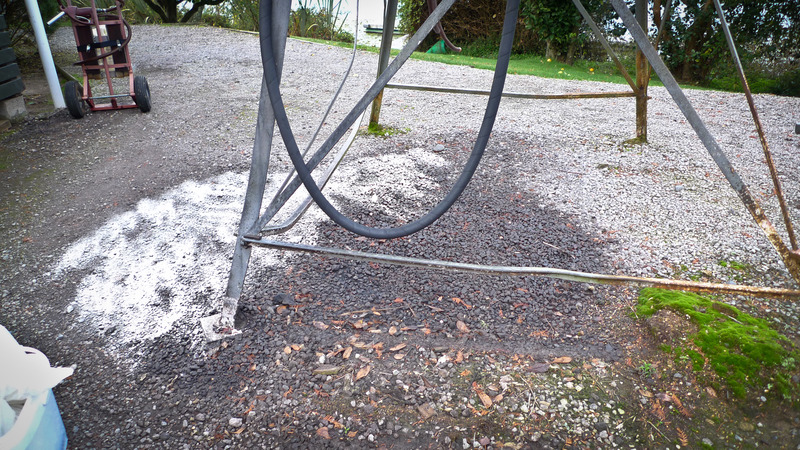 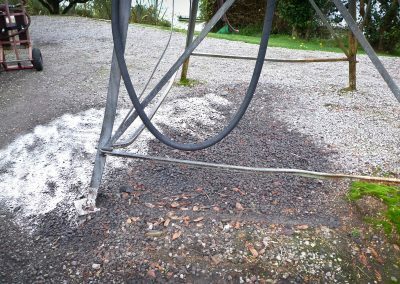 This workshop driveway had decades of oil drips in the vehicle storage driveway area. 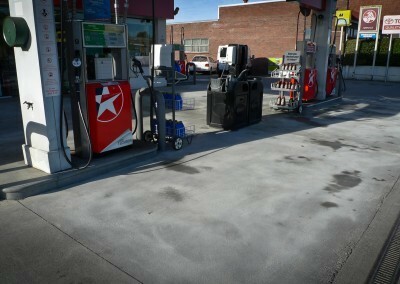 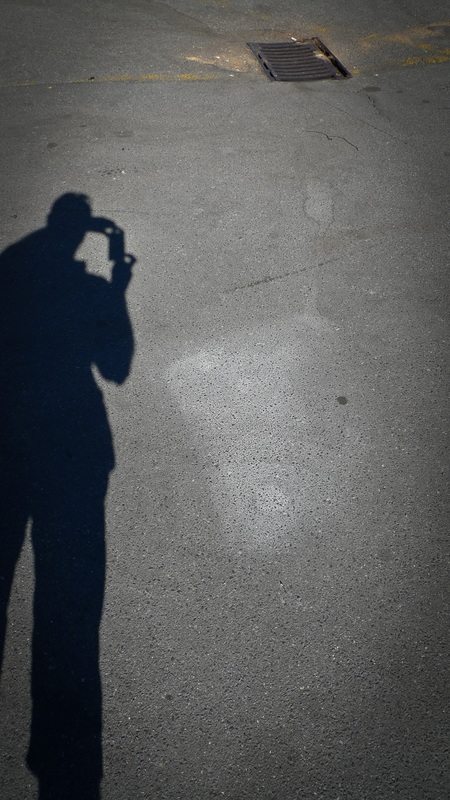 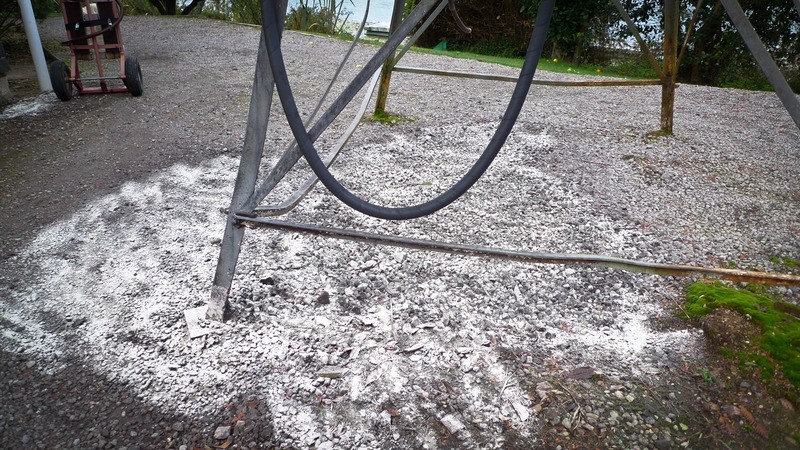 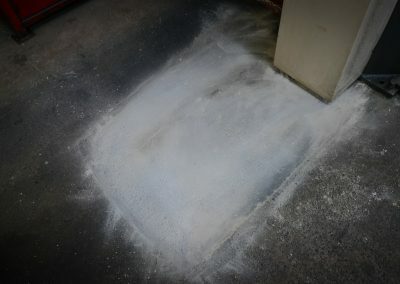 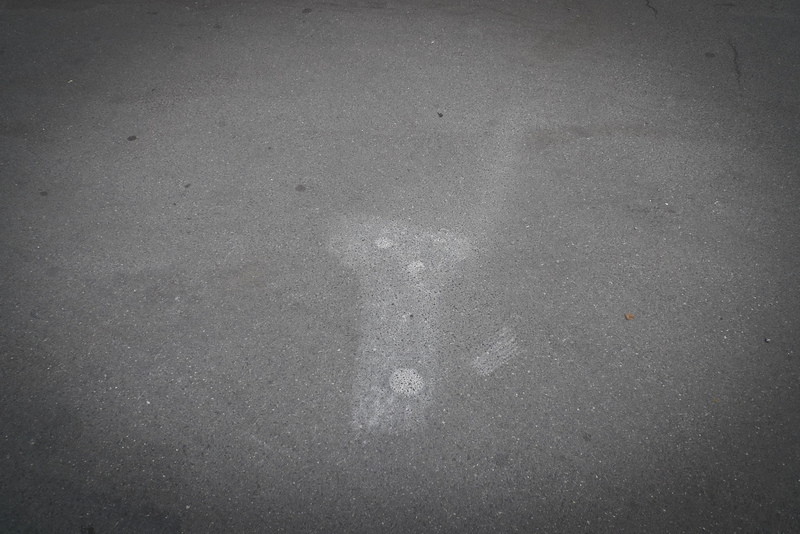 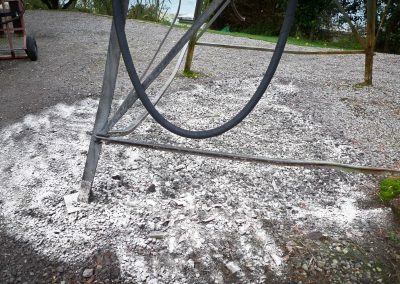 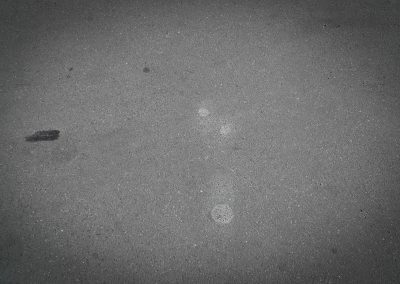 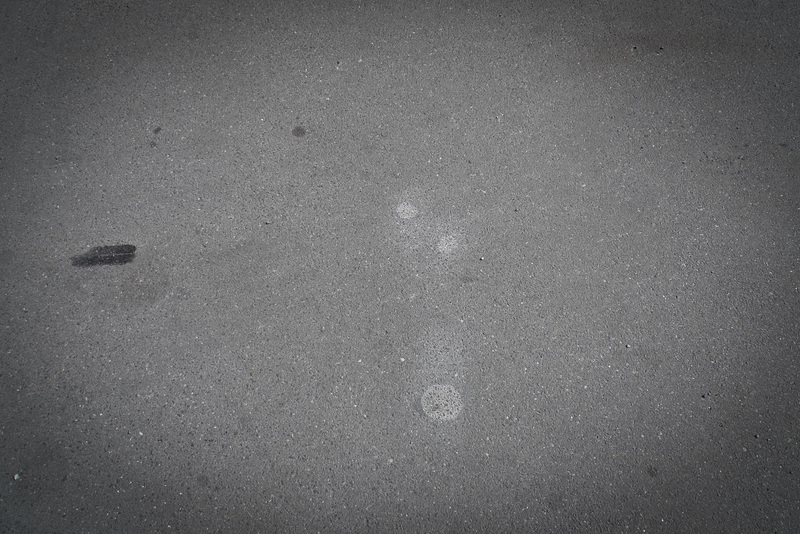 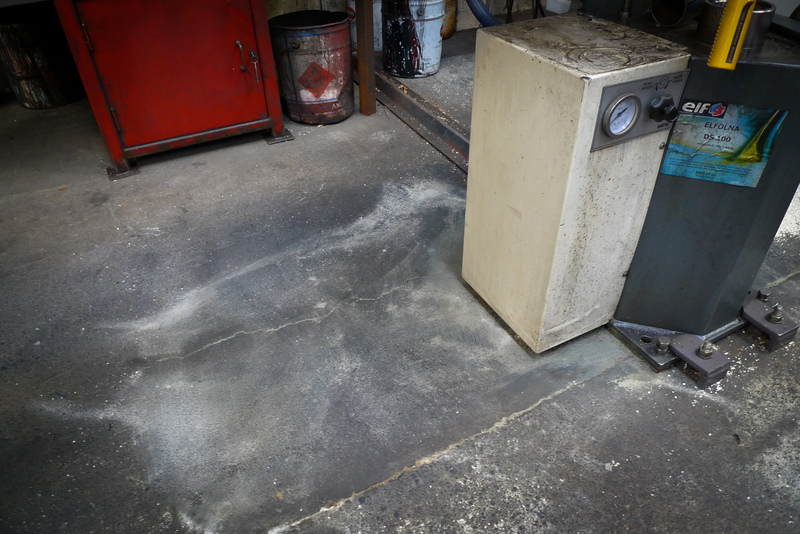 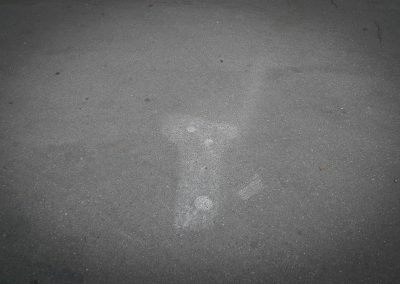 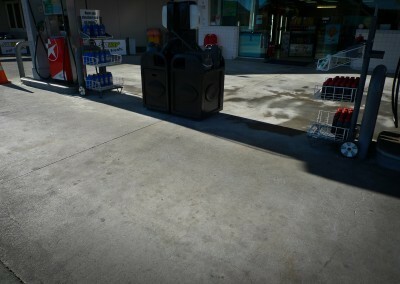 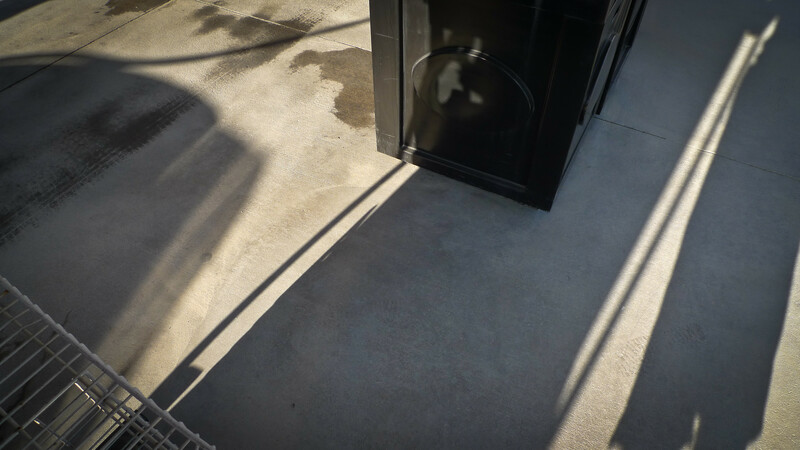 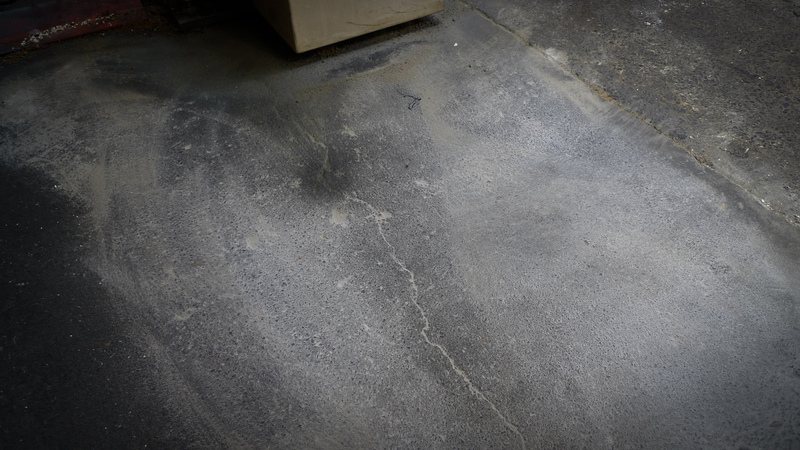 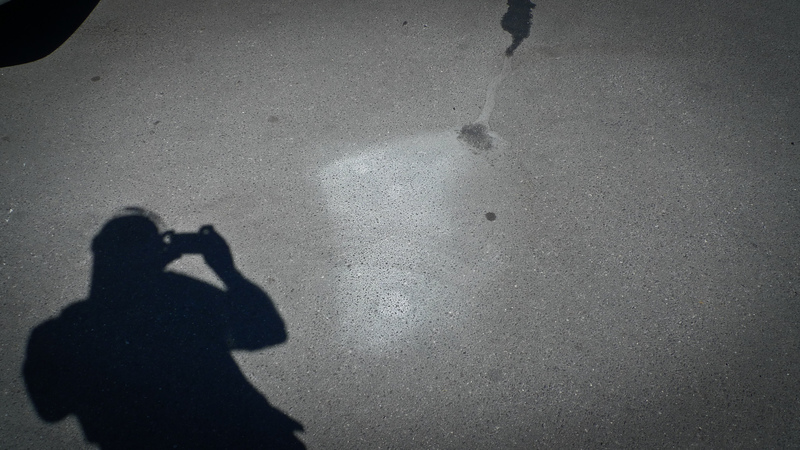 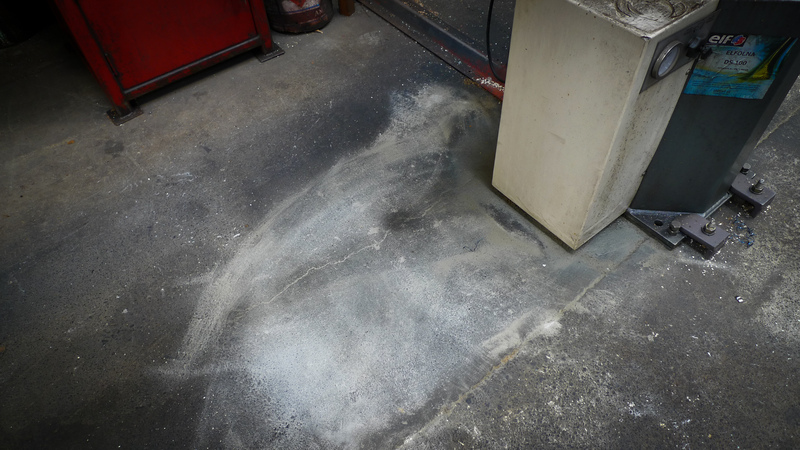 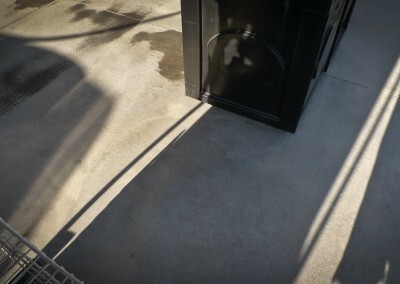 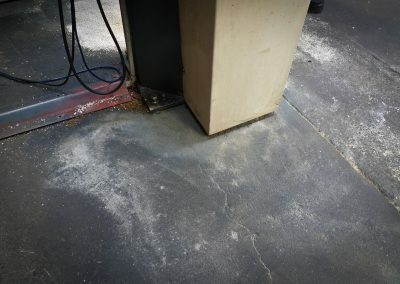 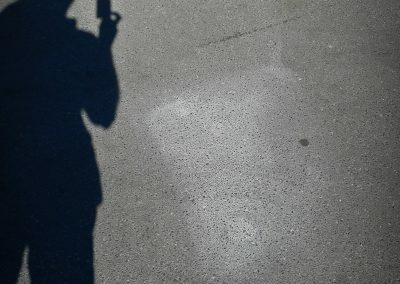 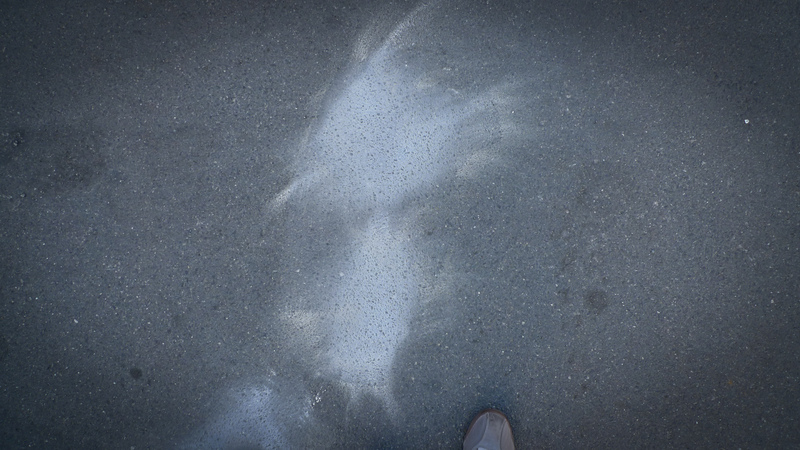 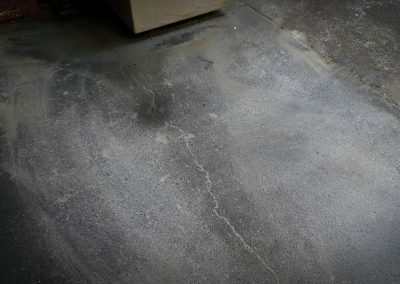 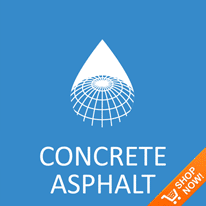 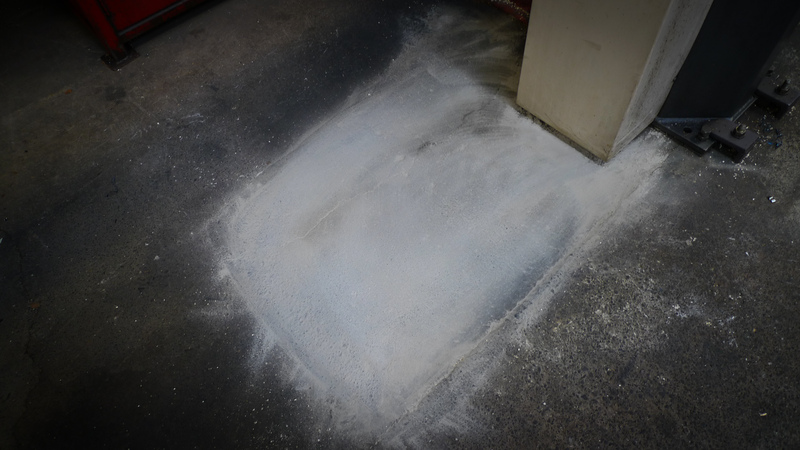 Here we used Terminator-HSD Concrete Cleaner, so that is would show up more on the images. 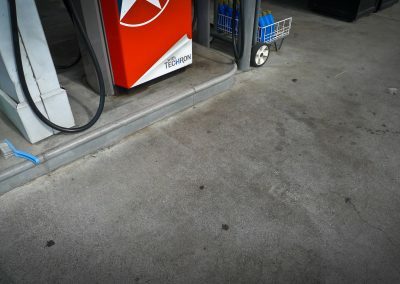 Over a 5 week period and four applications. 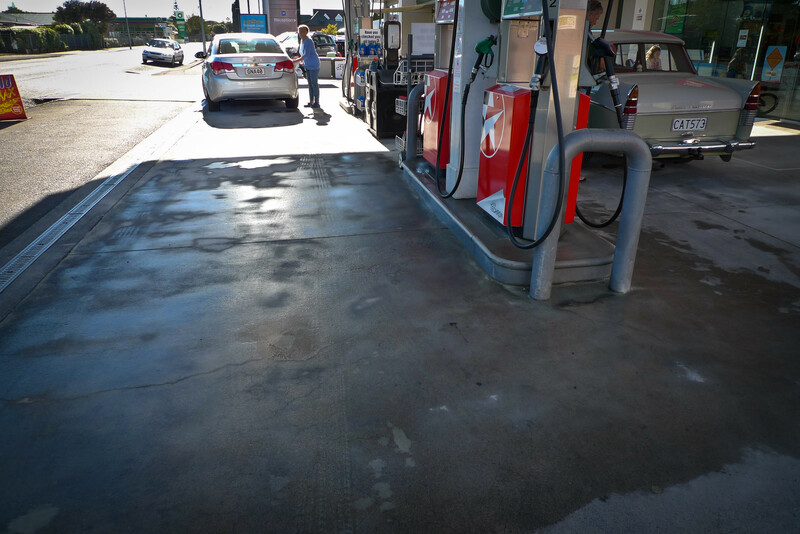 Each application a week apart the stain was fully remediated. Leaving a clean unblemished area. 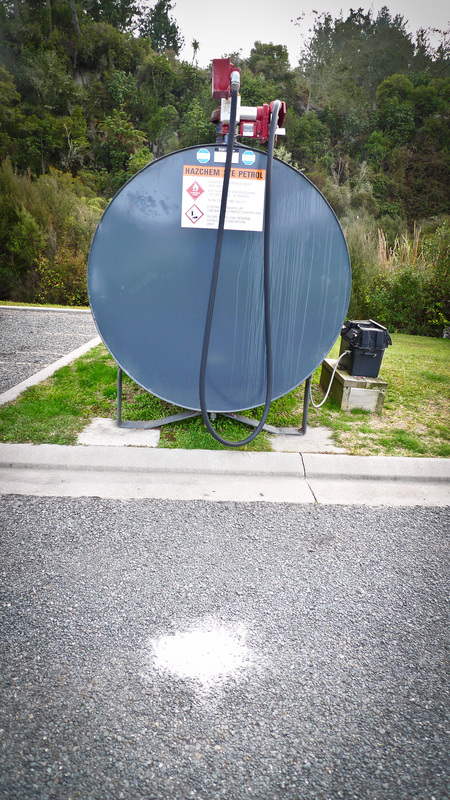 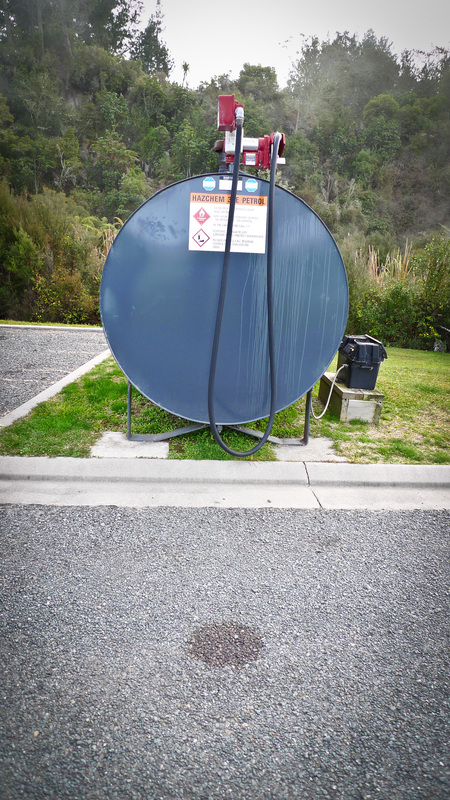 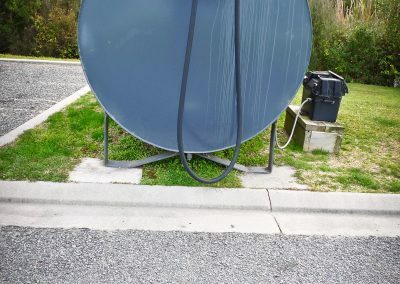 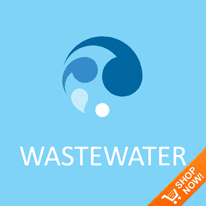 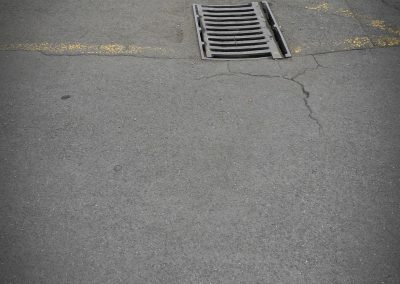 What’s more, it’s completely safe for the water runoff catchment. 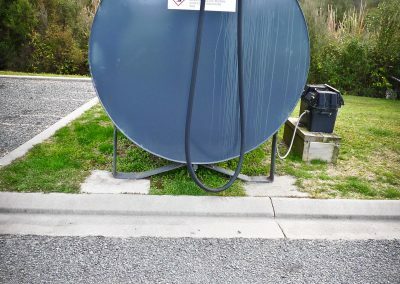 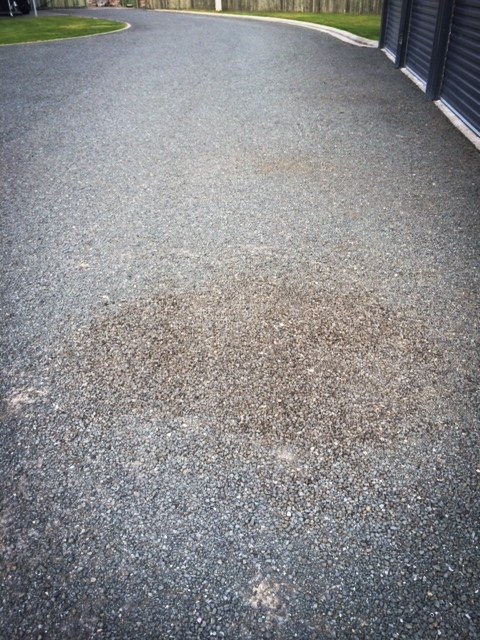 Onsite bioremediation of an overflow diesel spill onto gravel surface. 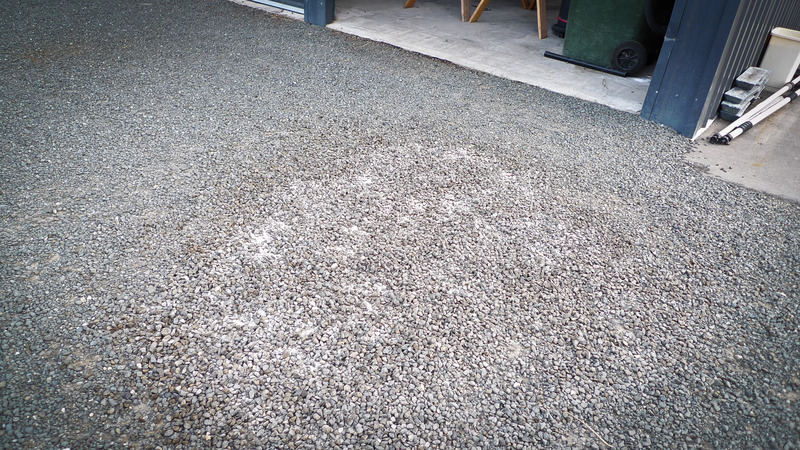 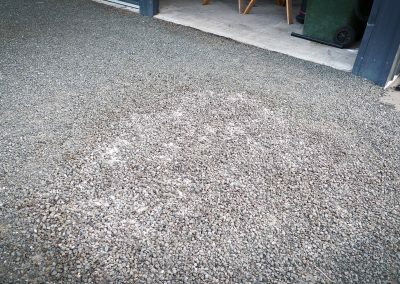 This is the first application of Terminator-HSD gravel and soil cleaner. 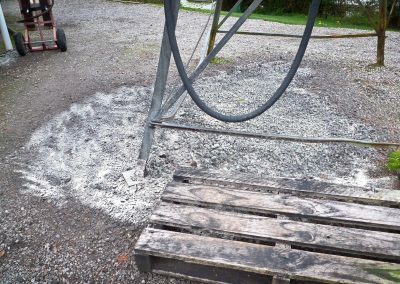 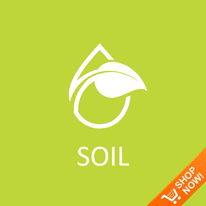 The product allows for on-site remediation of engine oil, diesel, petrol and hydraulic fluid from the soil, and rocky surfaces. 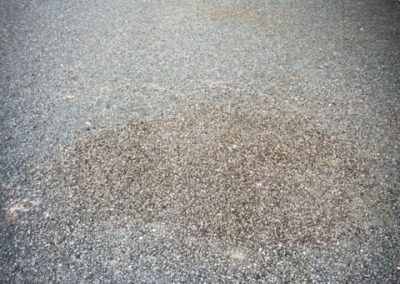 What’s more, once applied the bacteria go to work on preventing seepage into surrounding water systems. 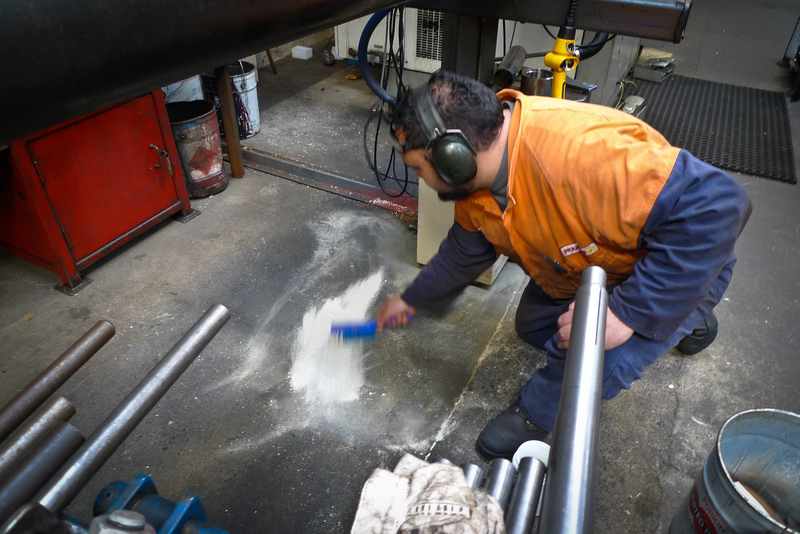 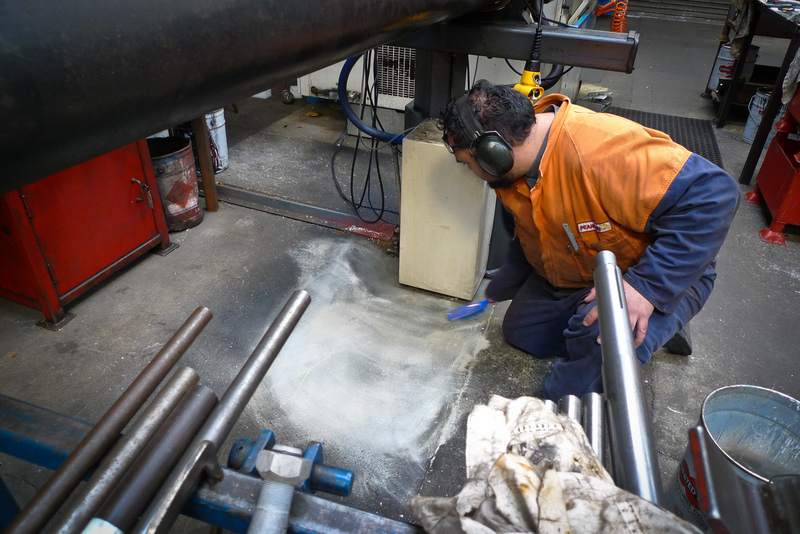 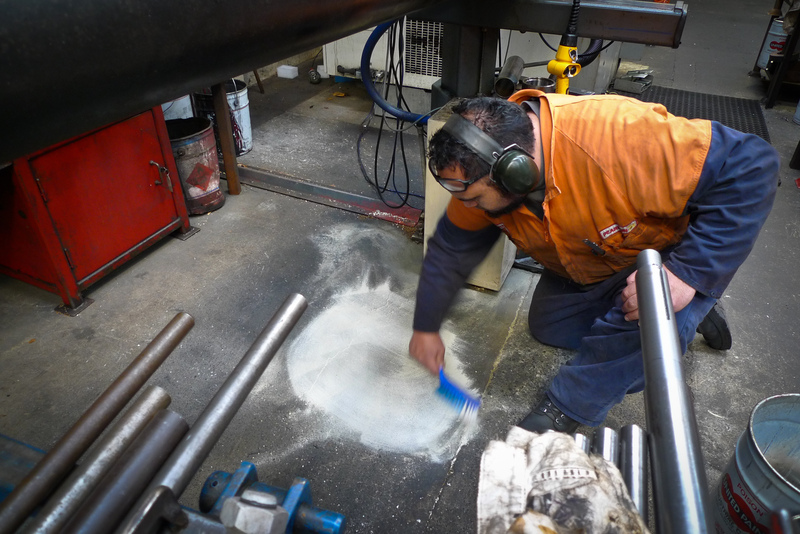 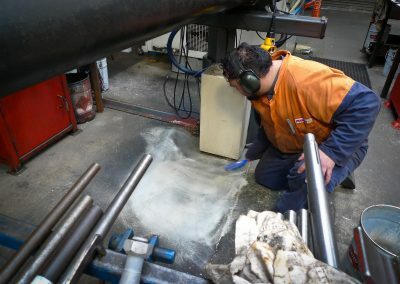 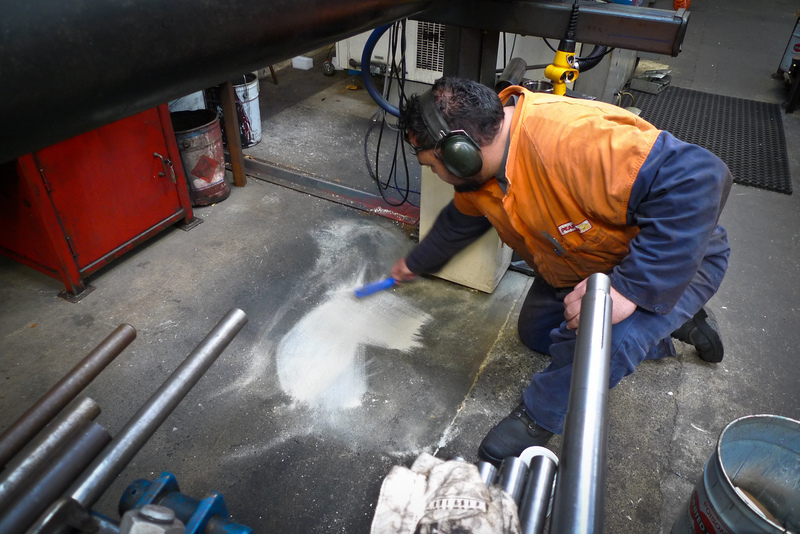 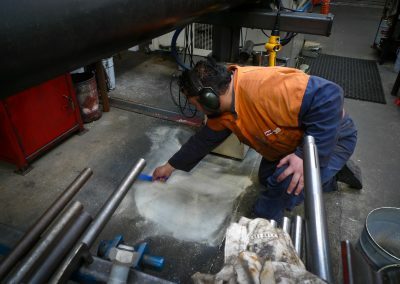 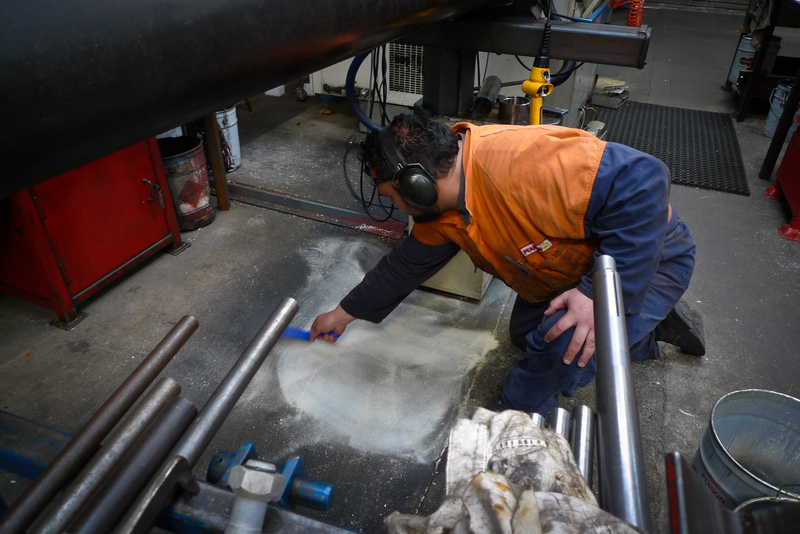 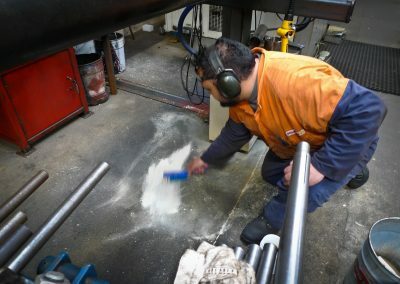 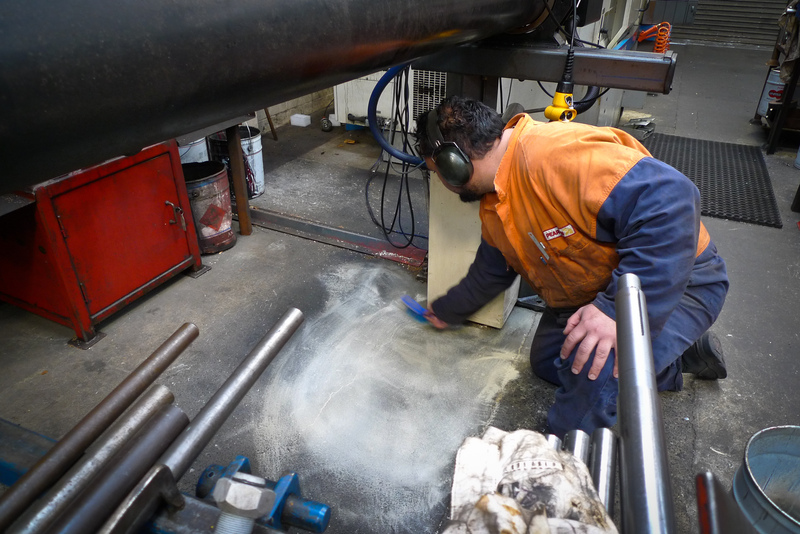 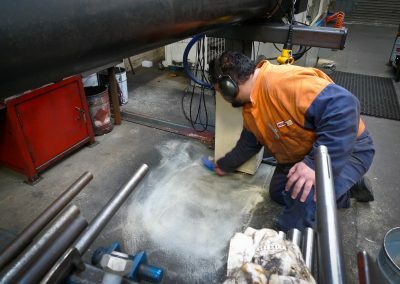 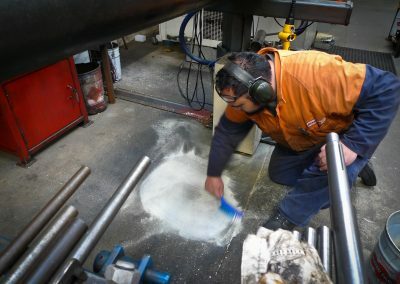 Indoor remediation of machine oils, hydraulic fluids helps to provide a safer work environment. 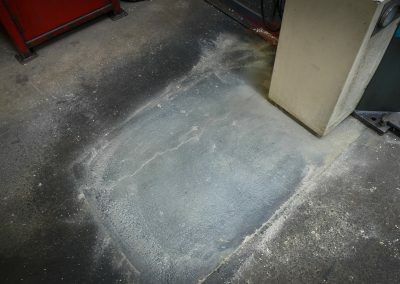 The images below relate to the early stages of area testing for a machine that had a constant leak. 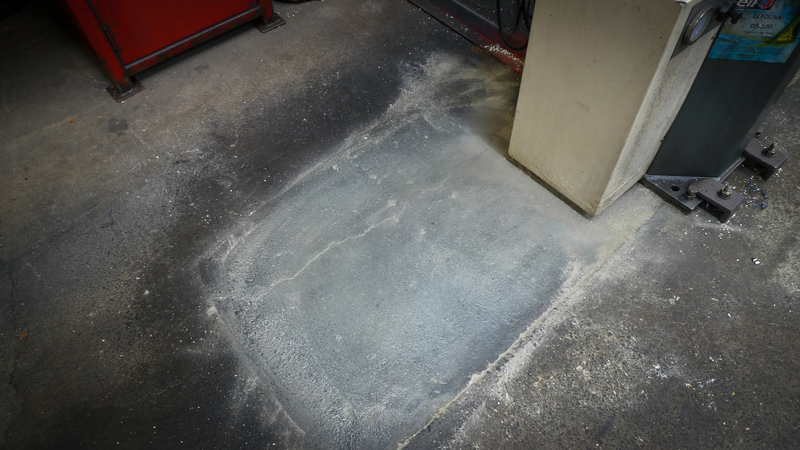 Terminator-HSD manages to remediate the surrounding area and fresh oil as it leaked. 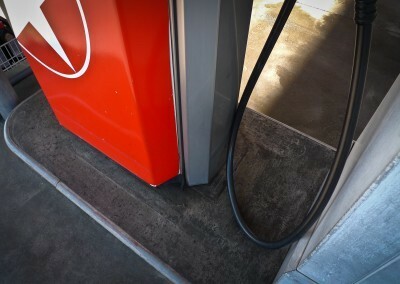 Preventing the oil from seeping beyond the machine base. 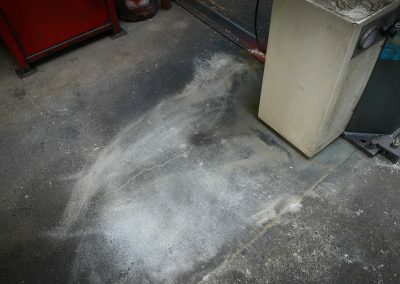 Where there are decades of build up, it is expected to take more time. 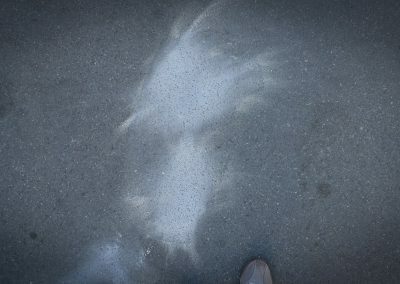 However, it will happen. 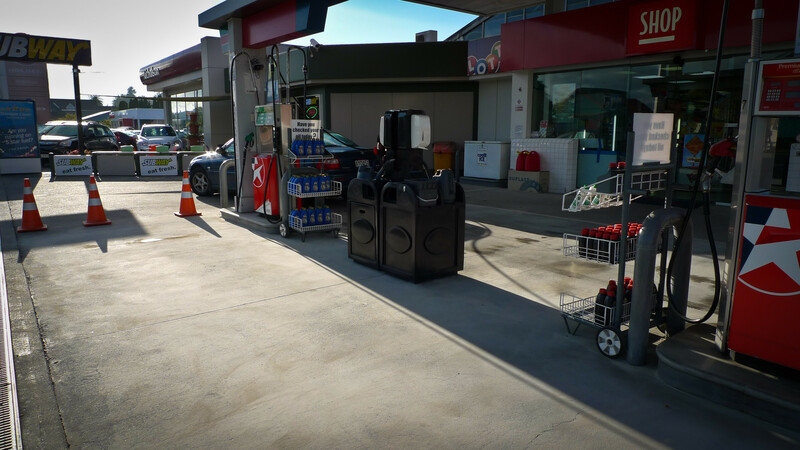 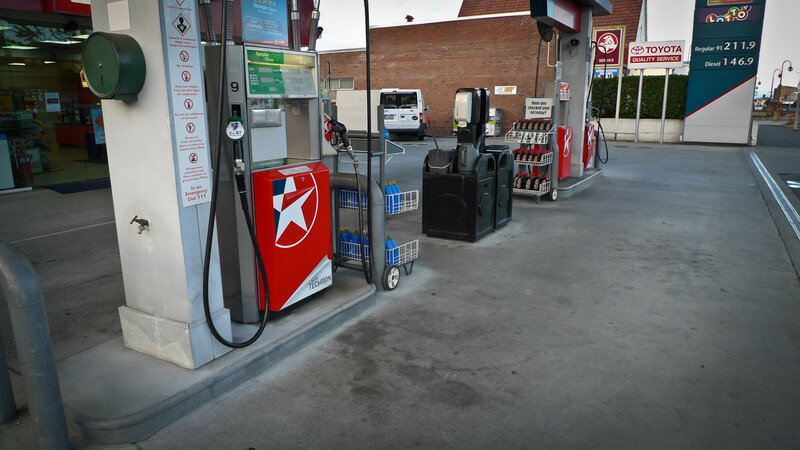 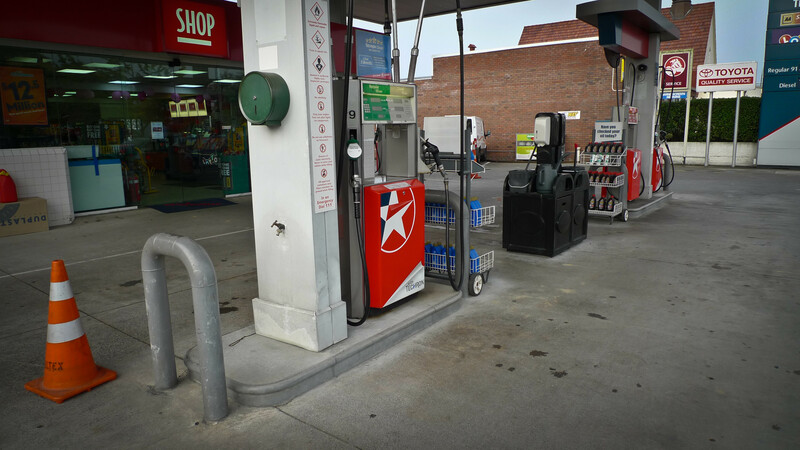 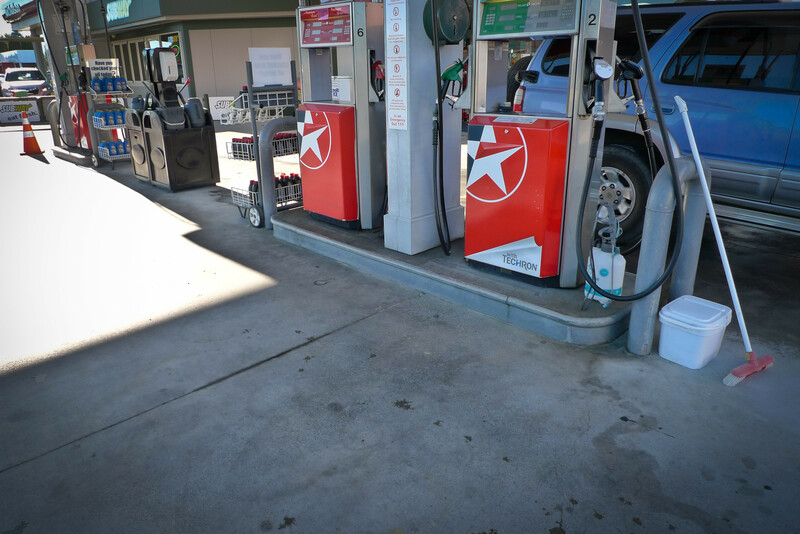 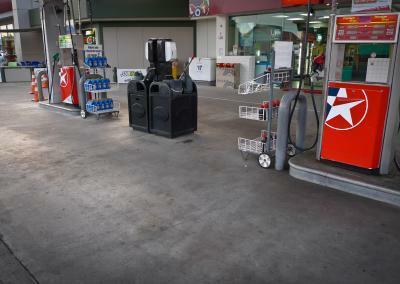 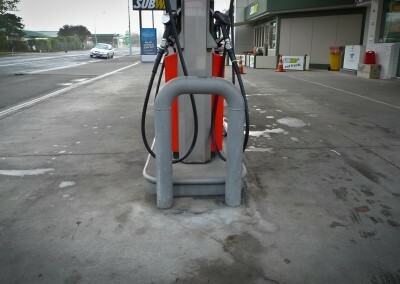 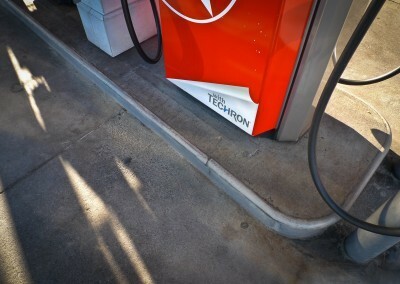 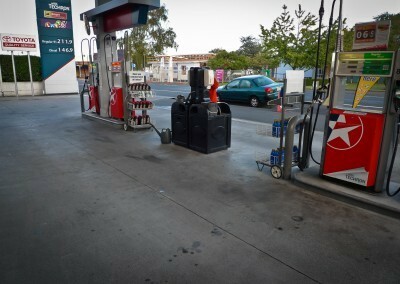 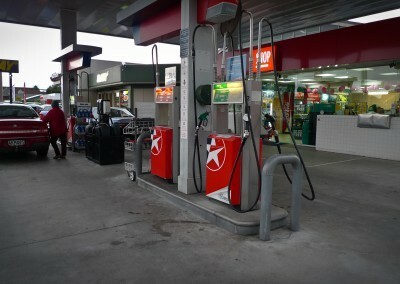 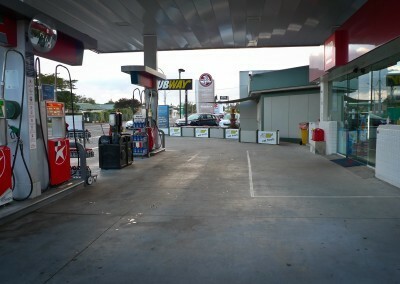 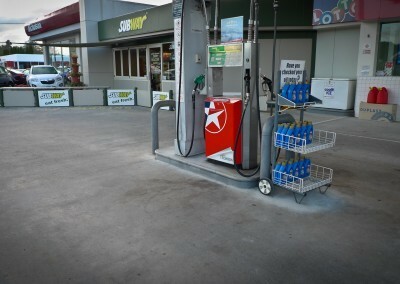 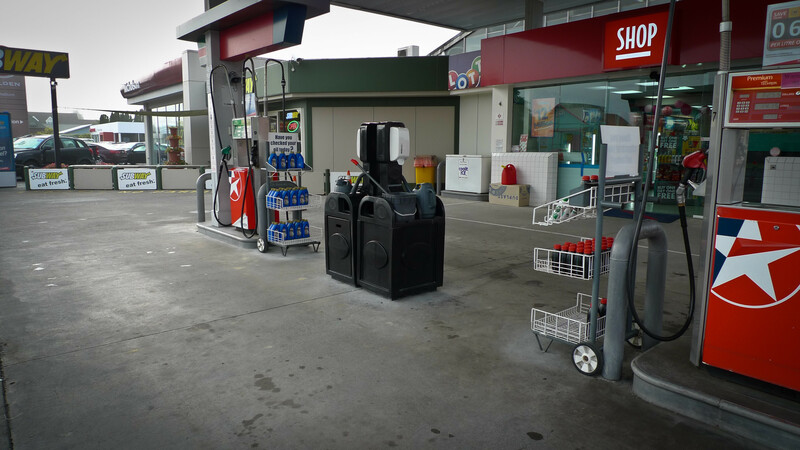  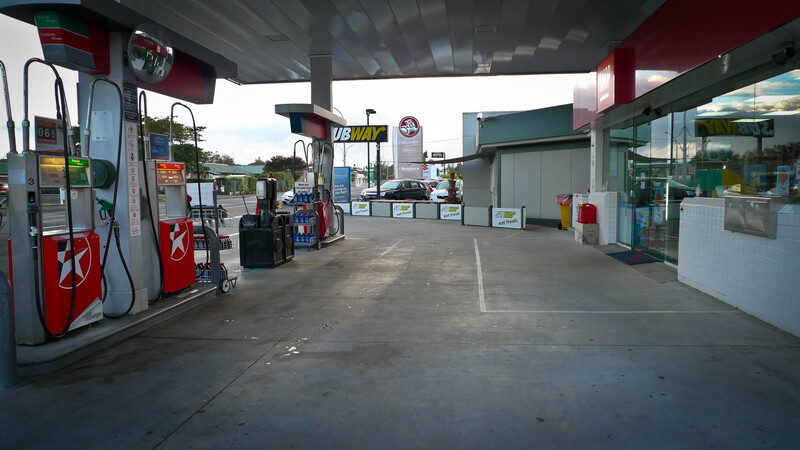 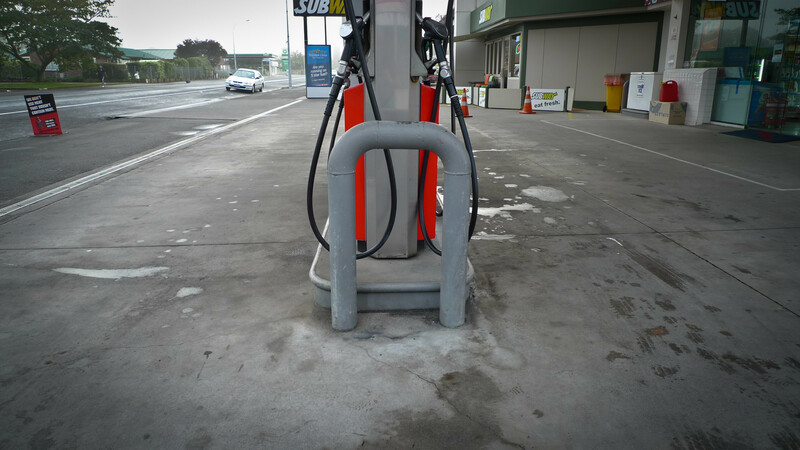 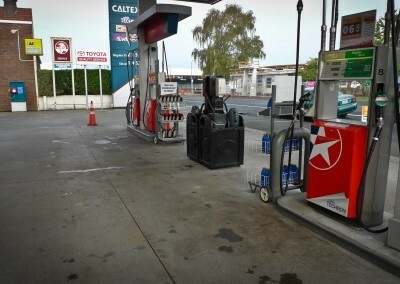 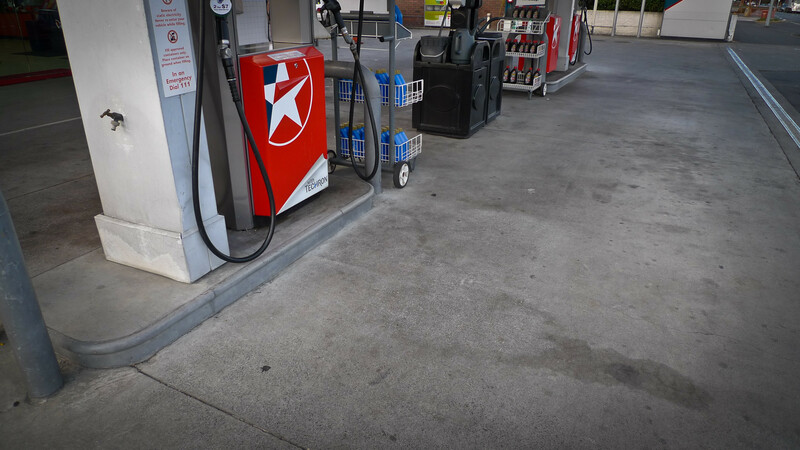 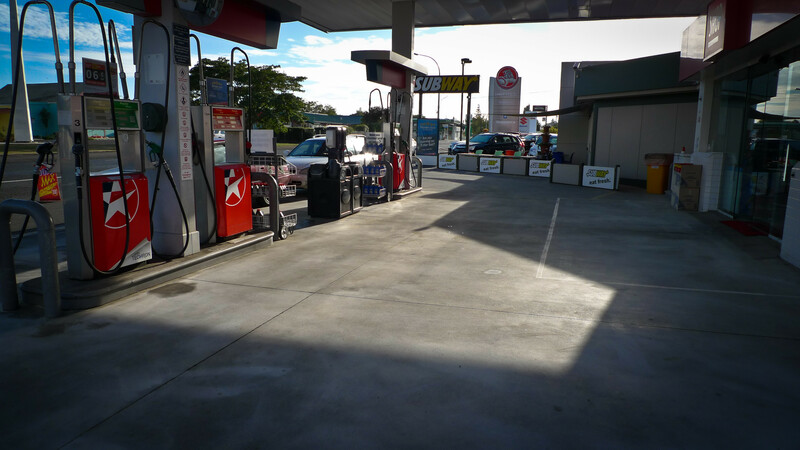 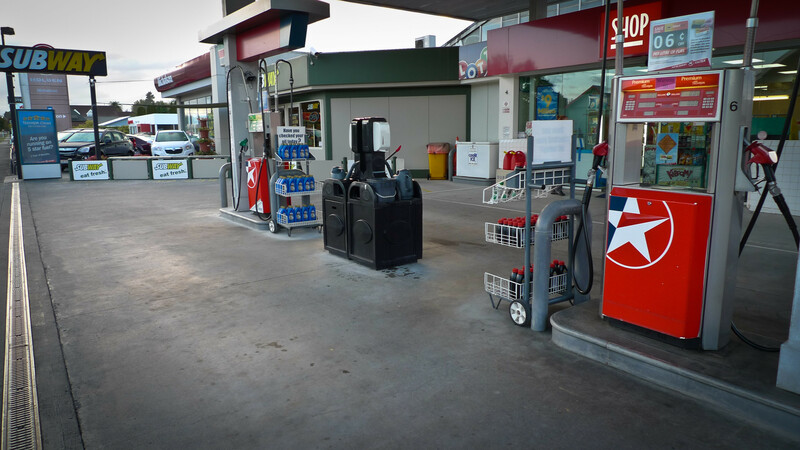 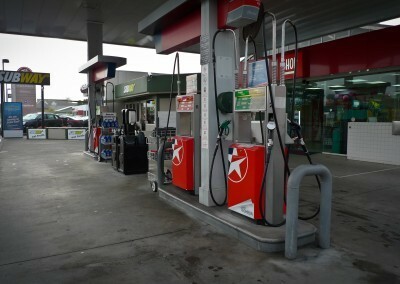 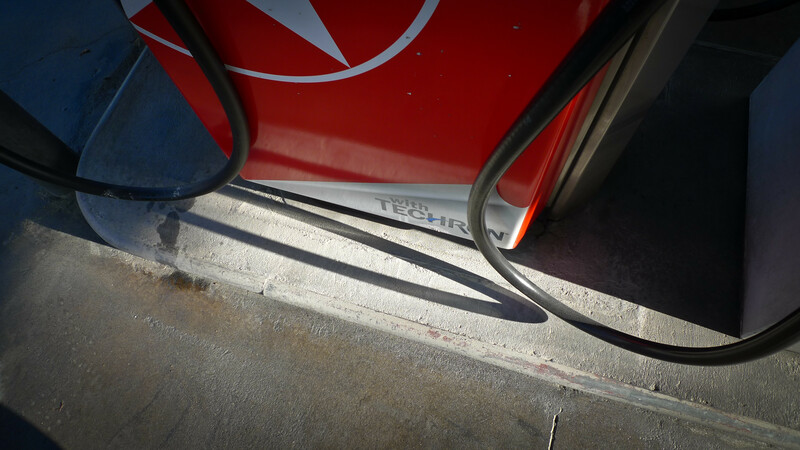 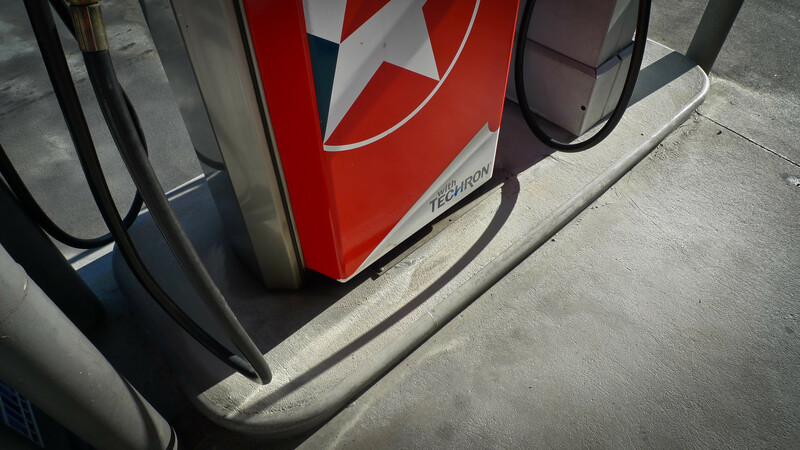 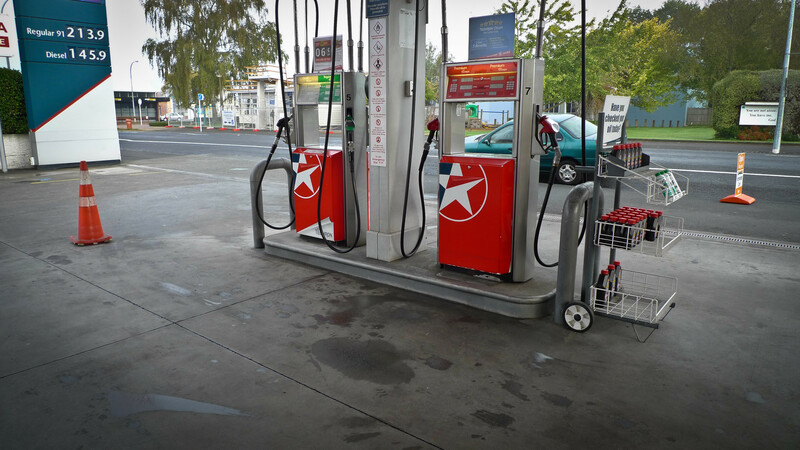 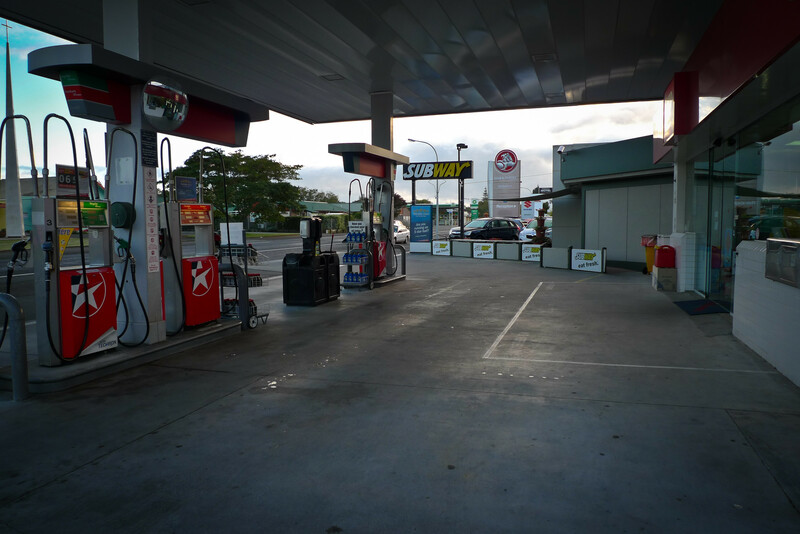 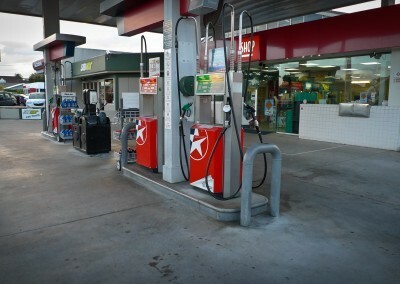 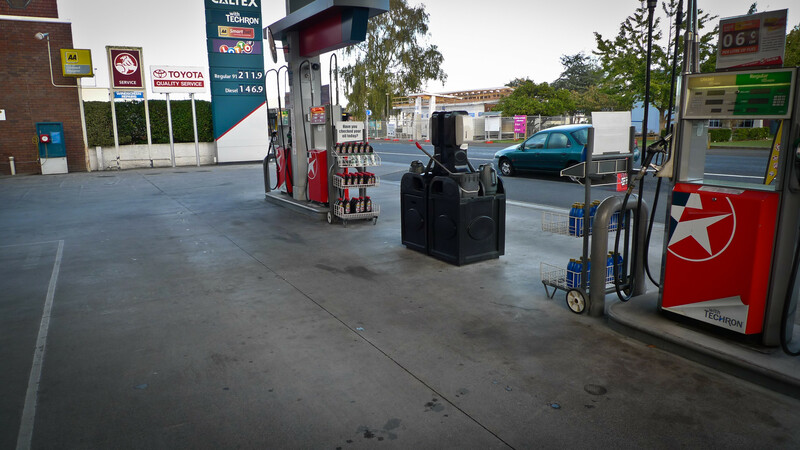 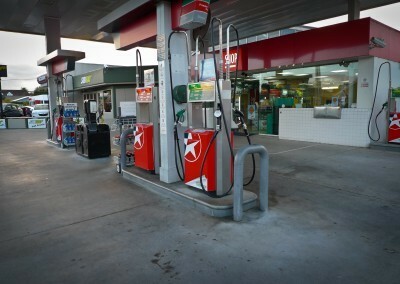 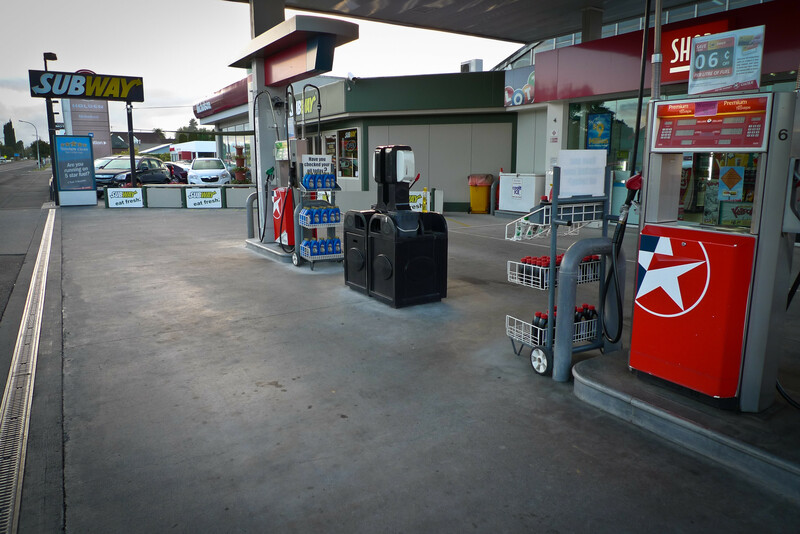 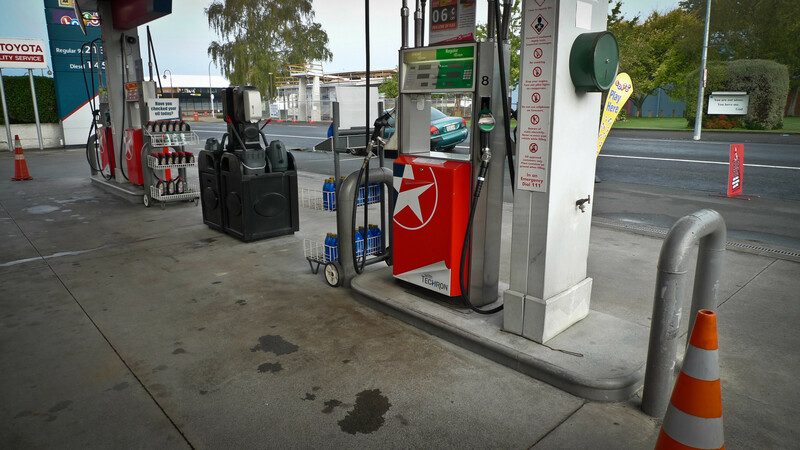 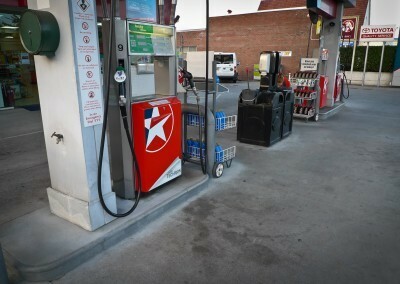 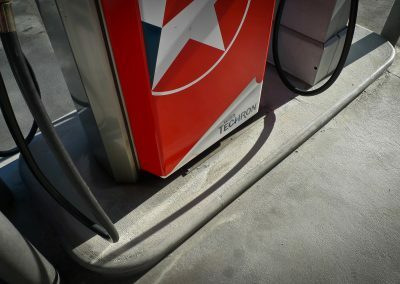 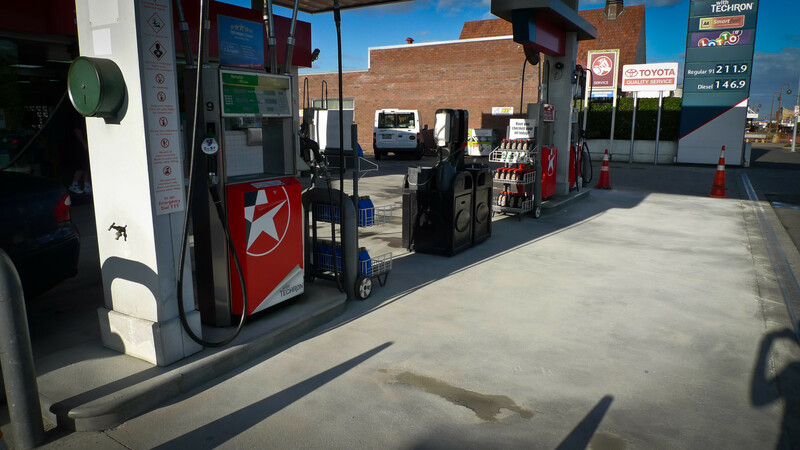 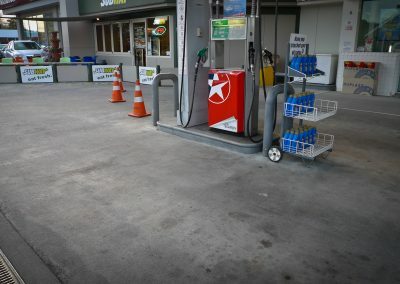 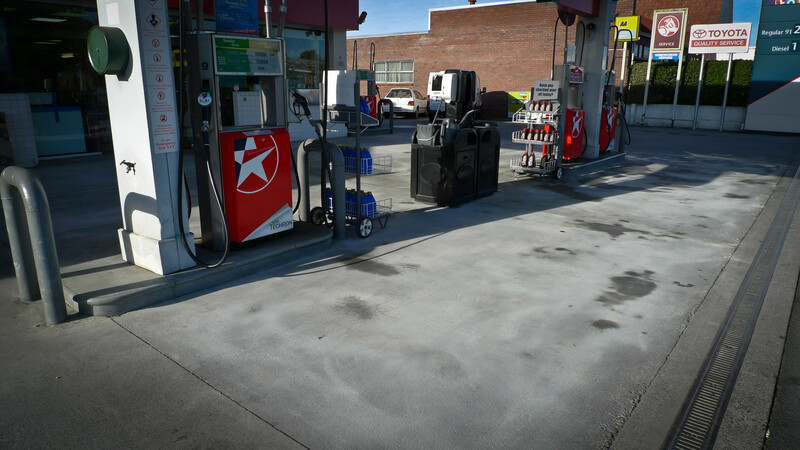 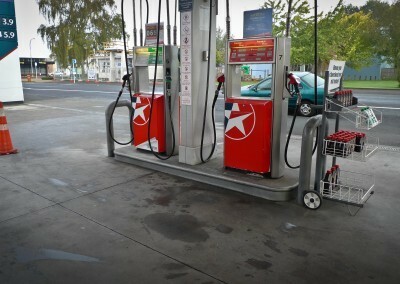 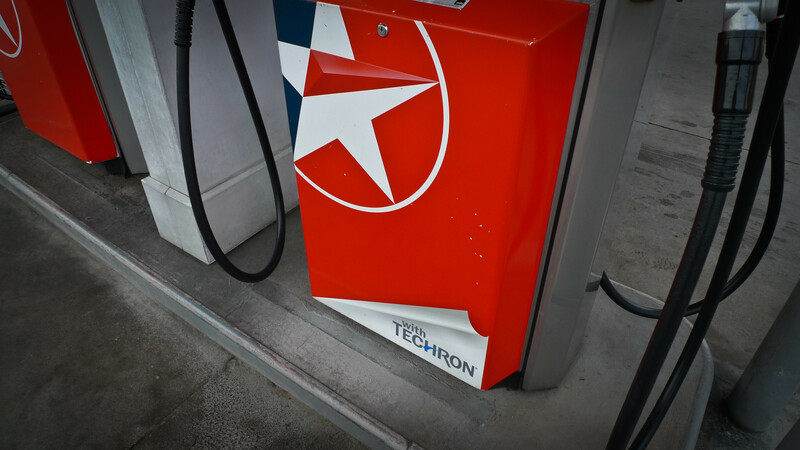 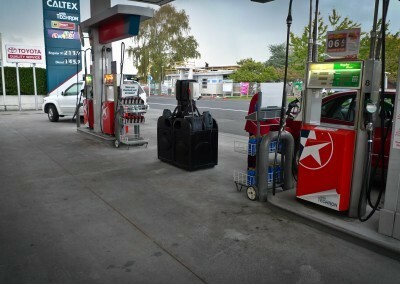 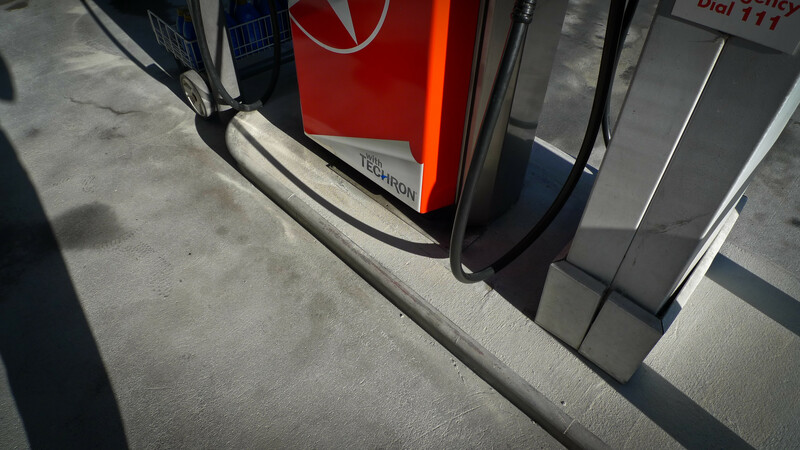 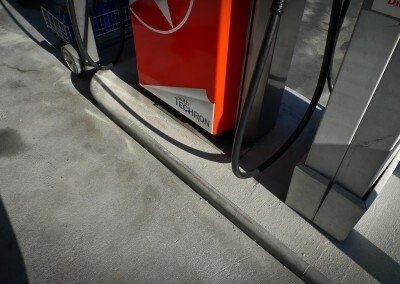 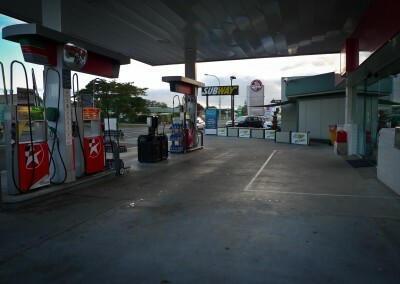 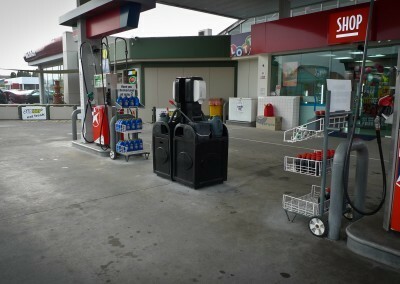 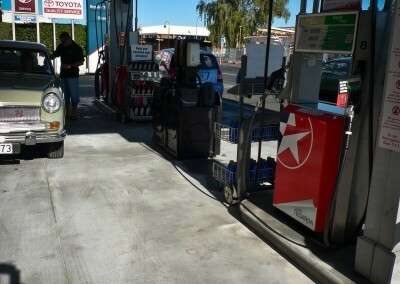 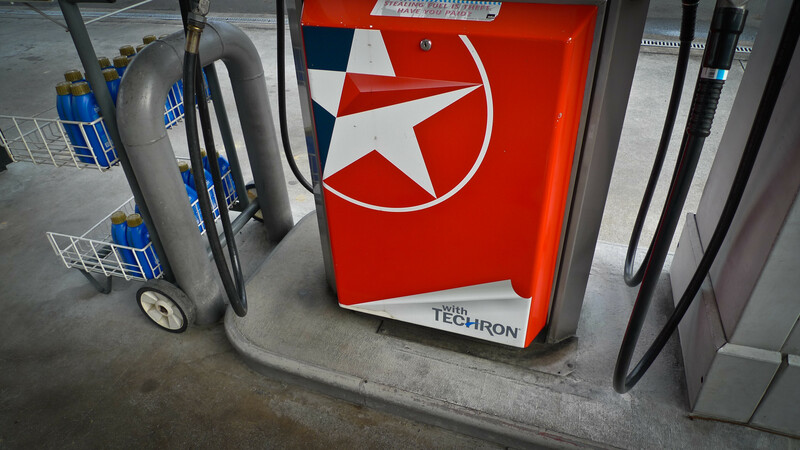 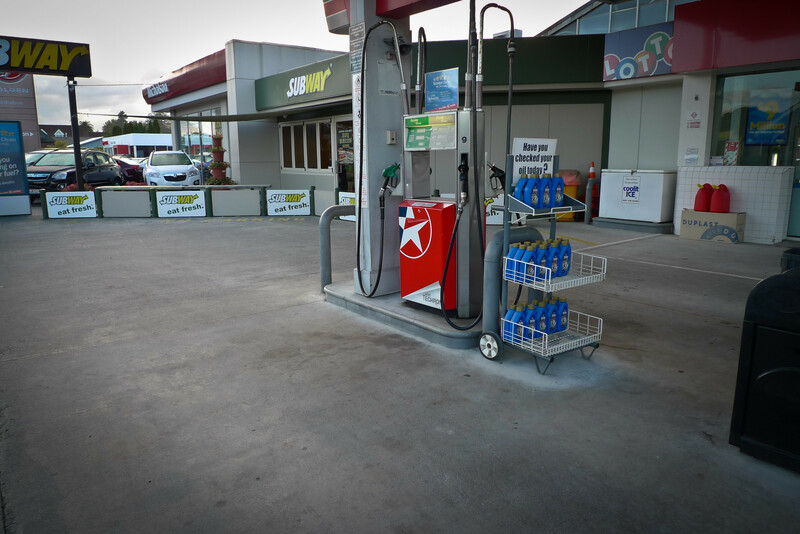 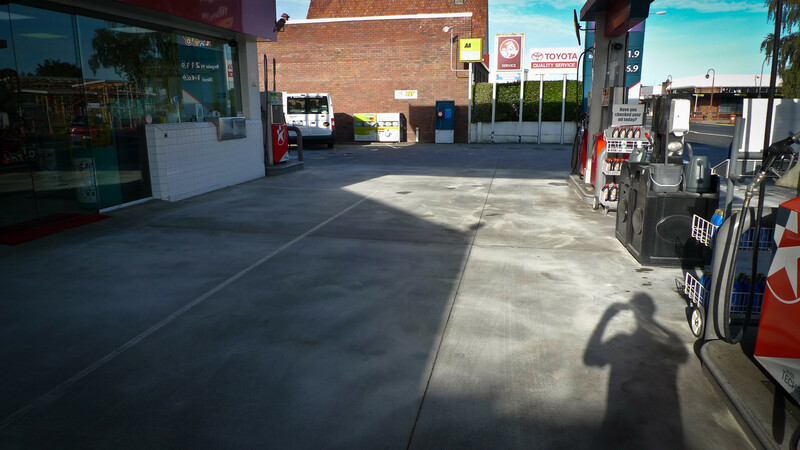 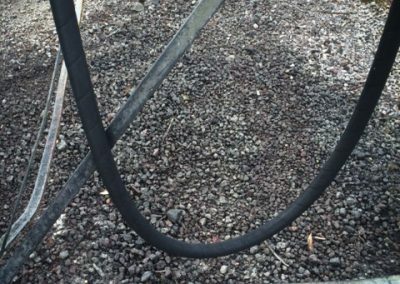 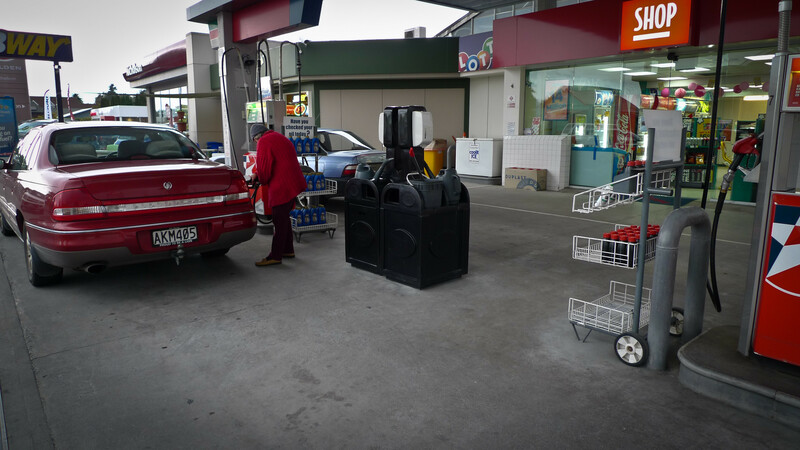 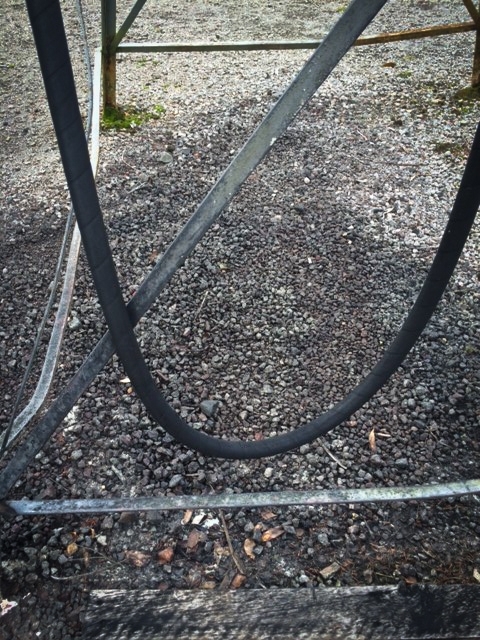 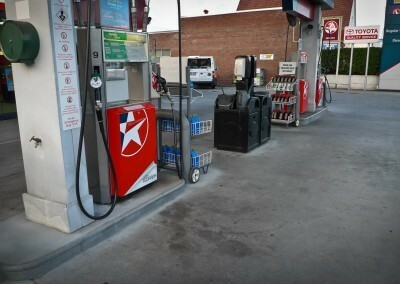 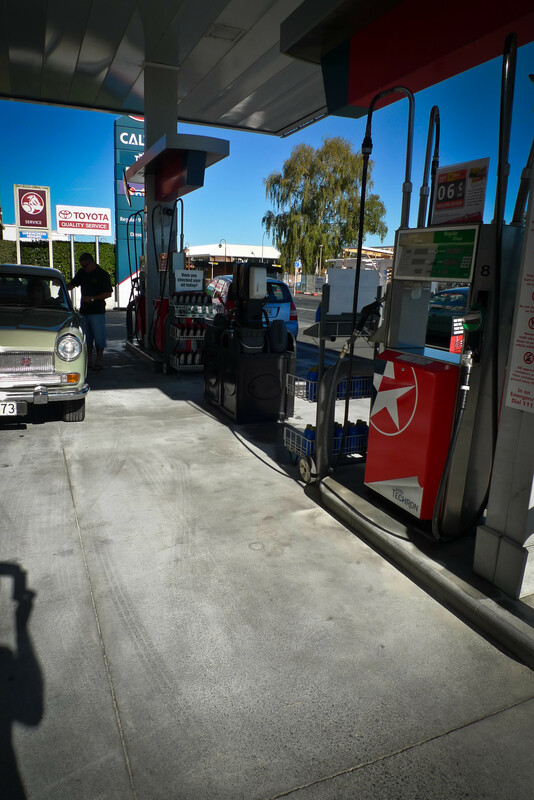 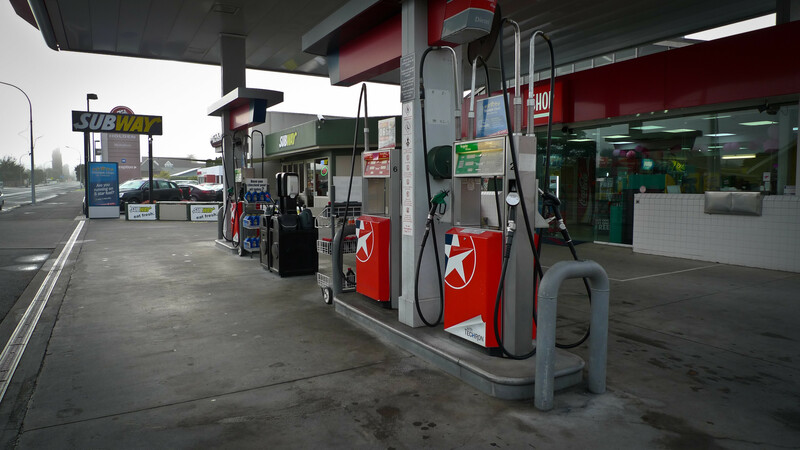 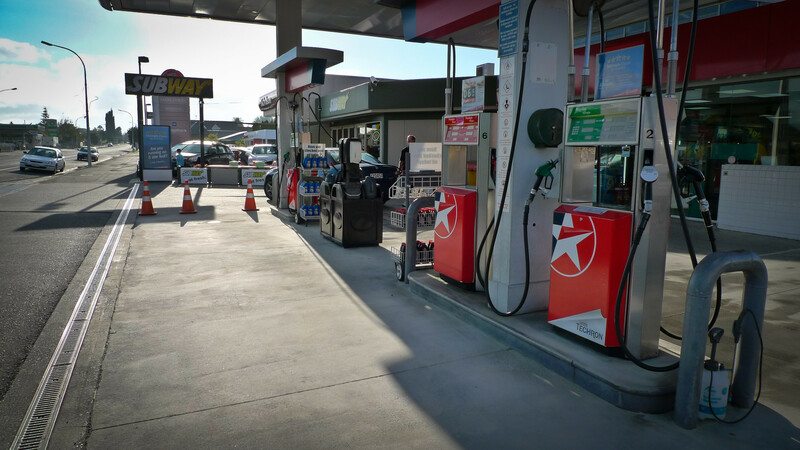 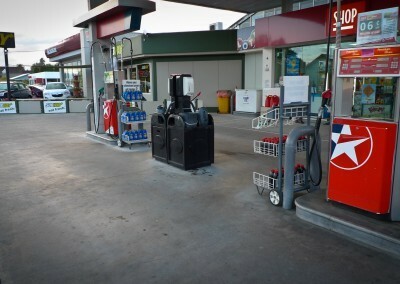 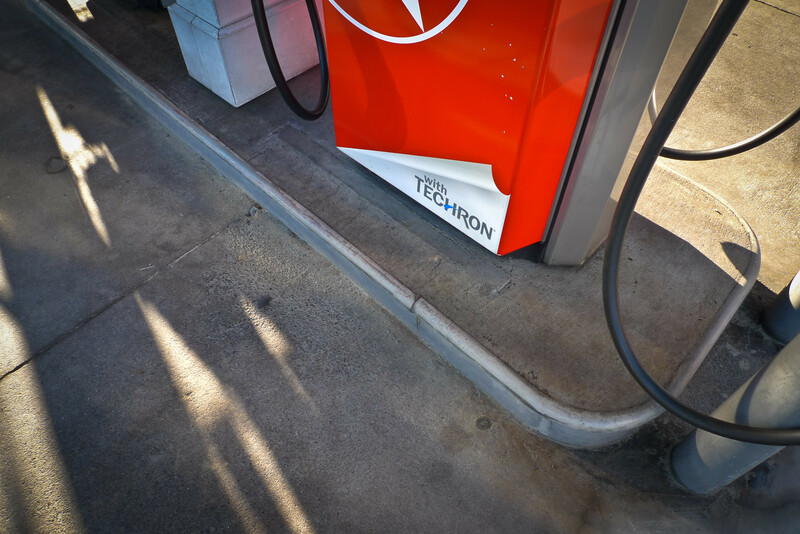 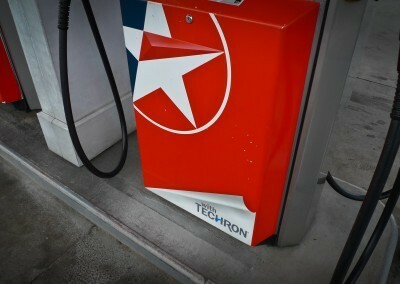 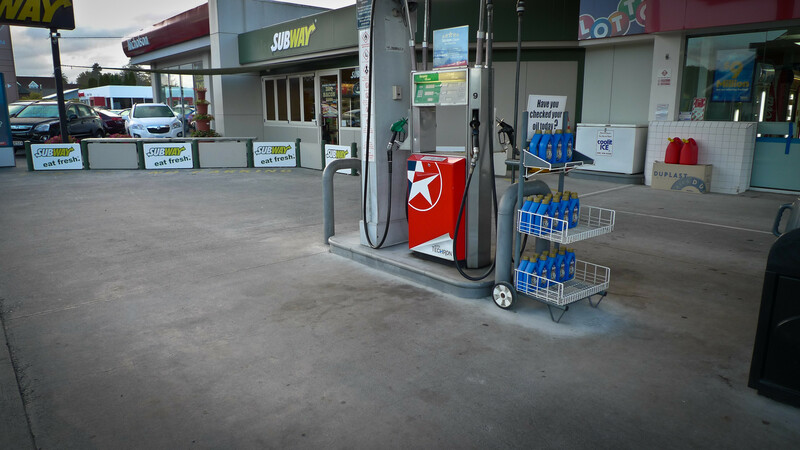 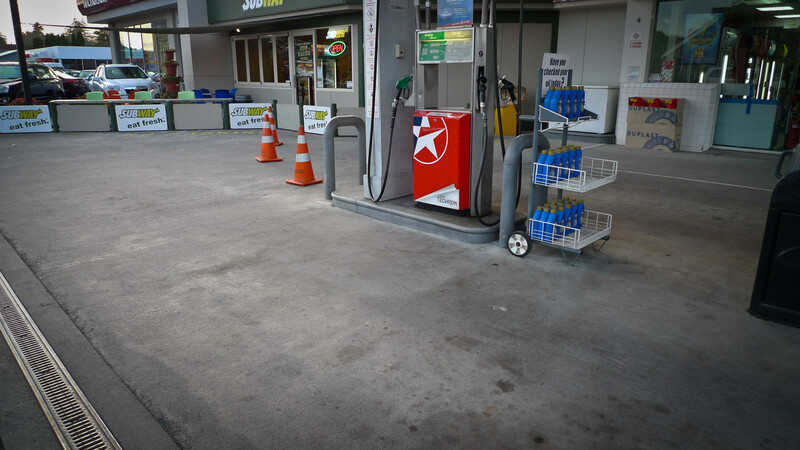 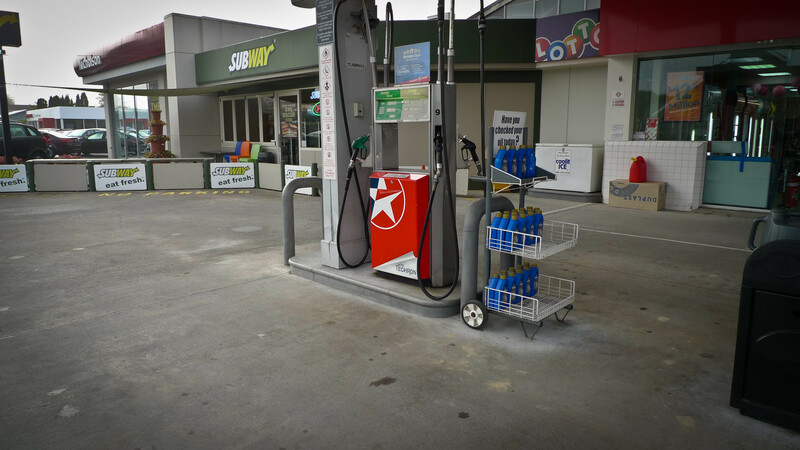 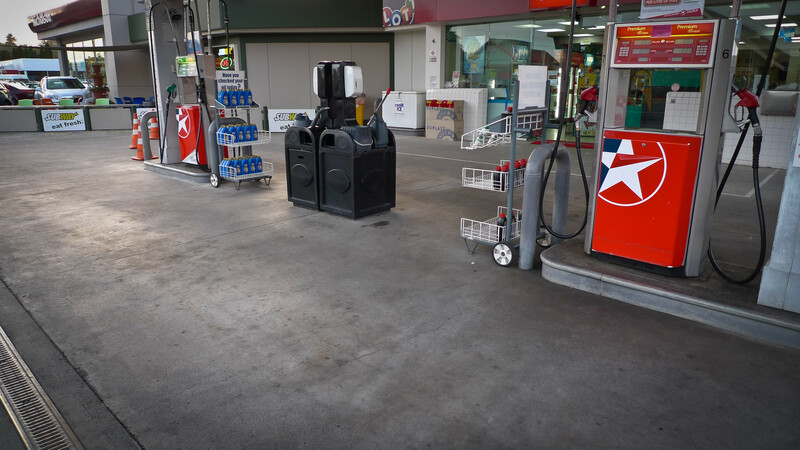 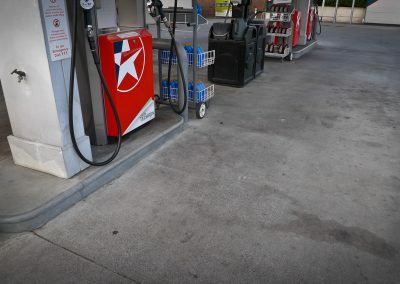 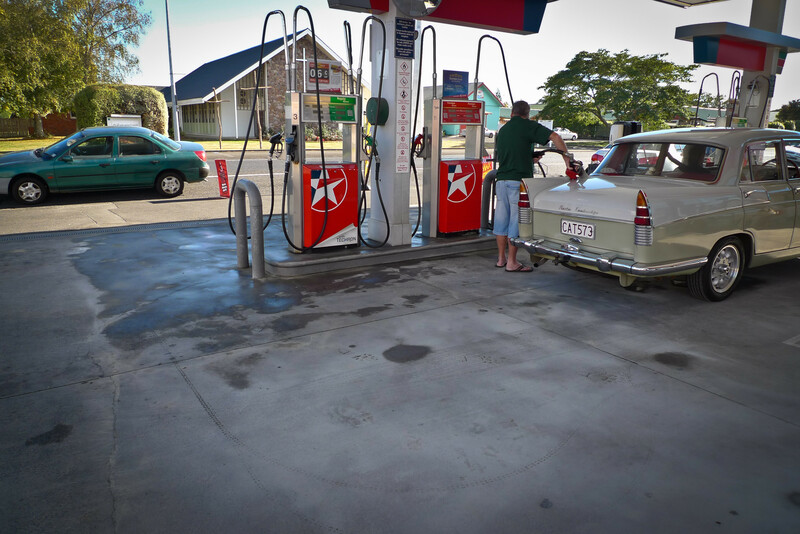 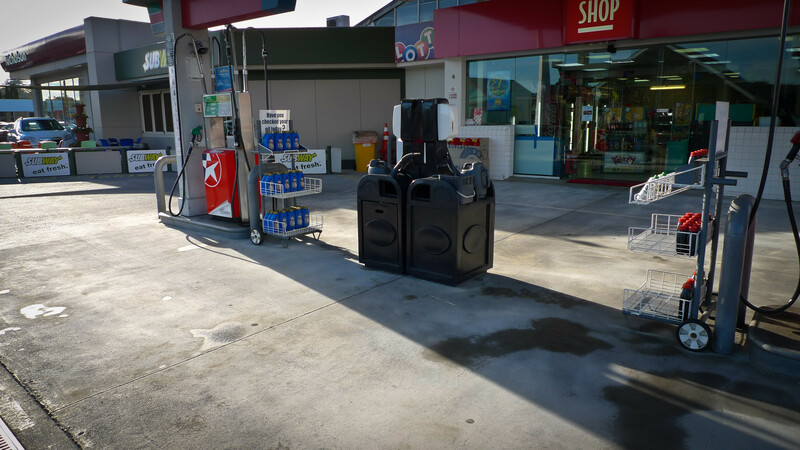 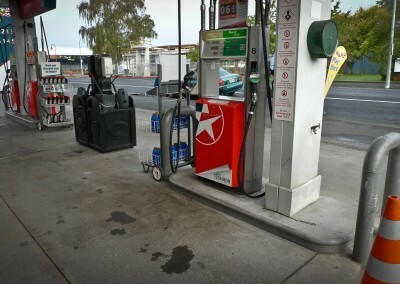 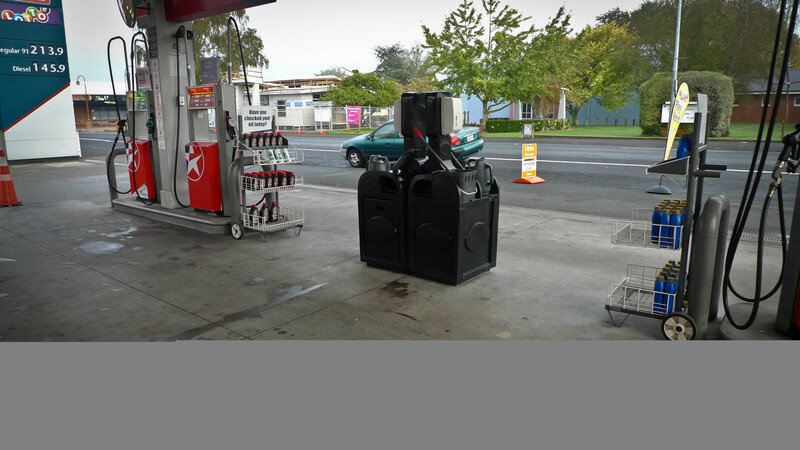 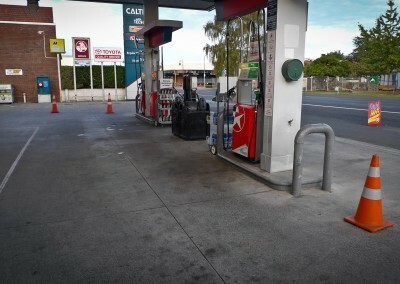 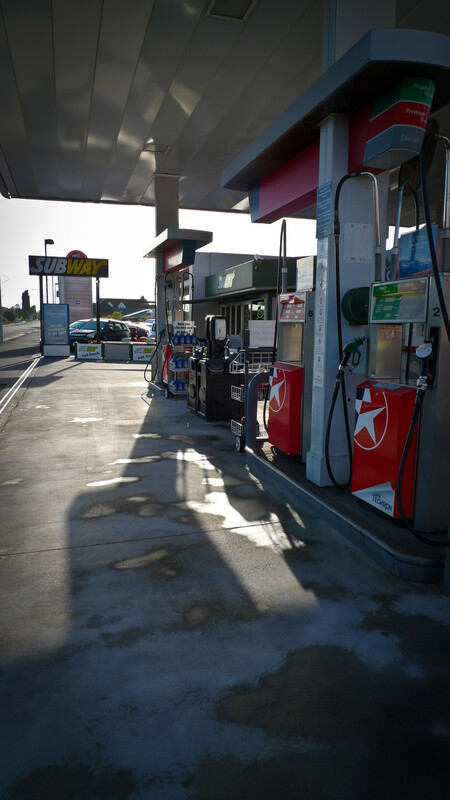 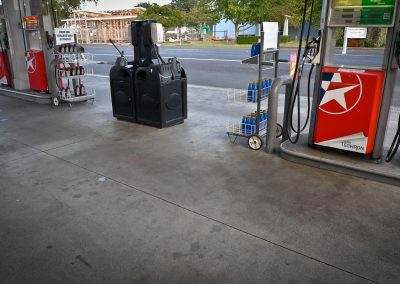 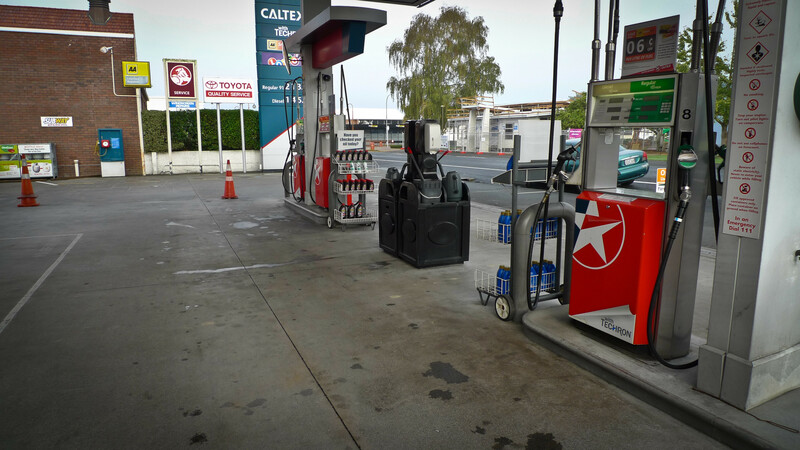 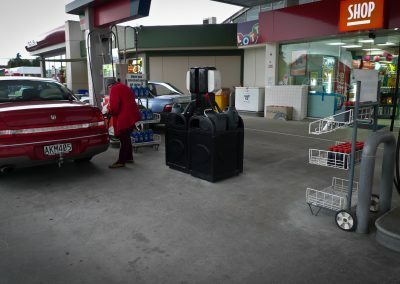 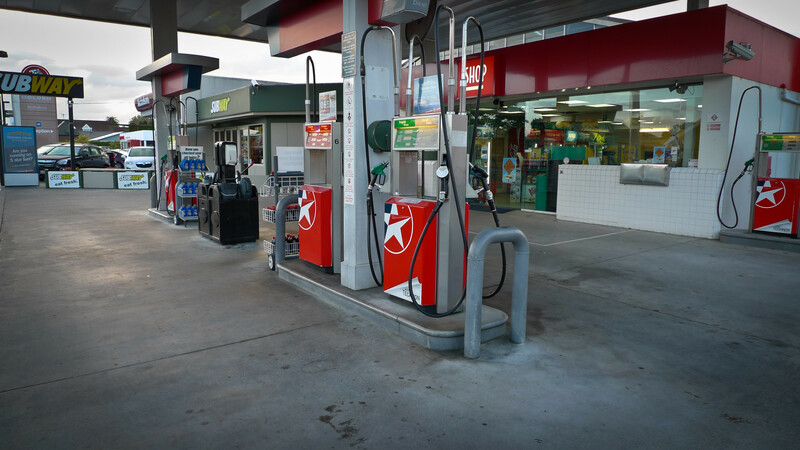 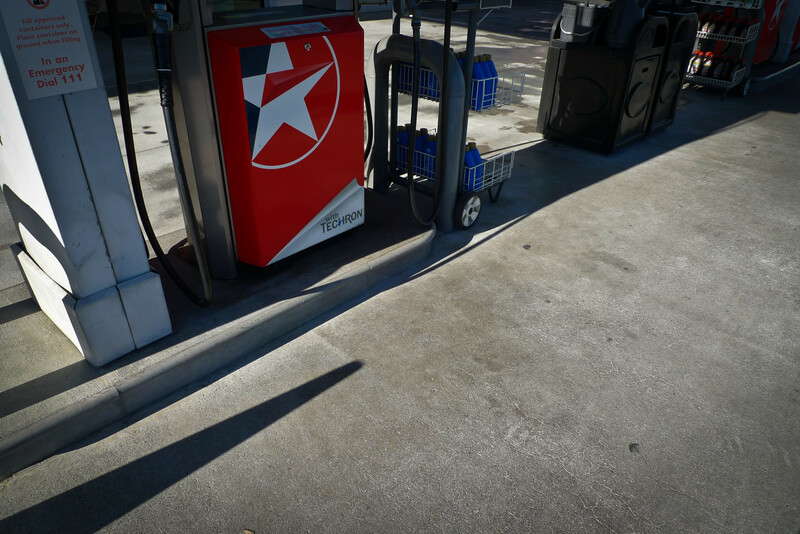 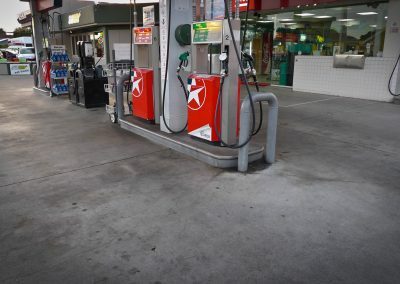 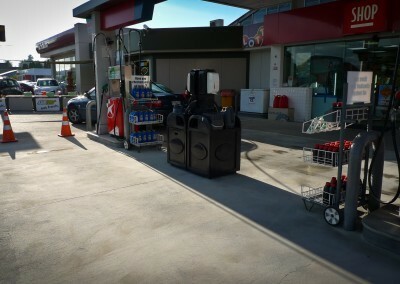 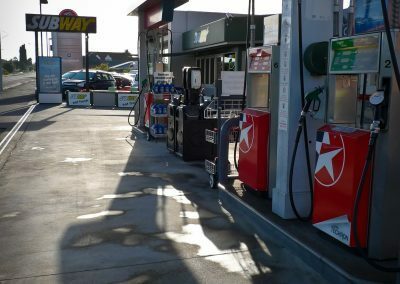 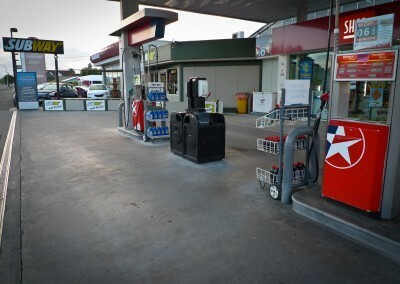 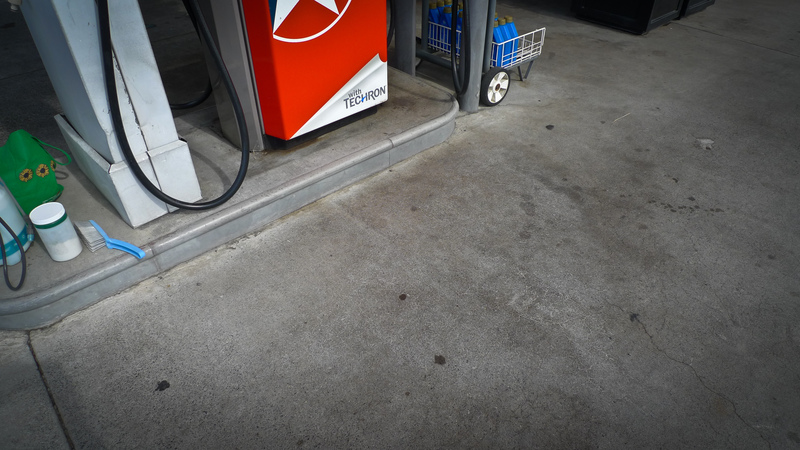 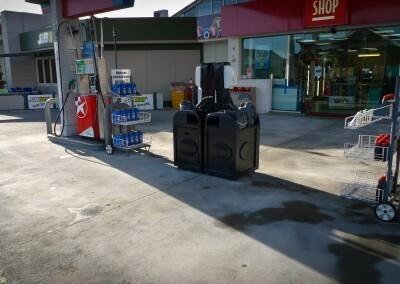 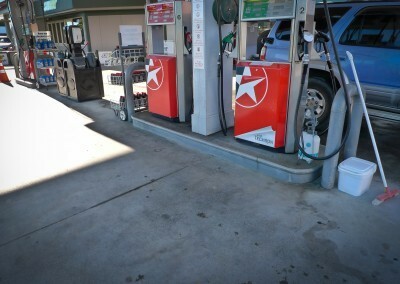 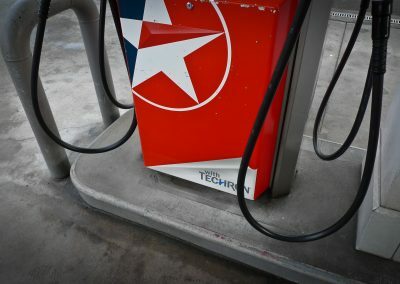 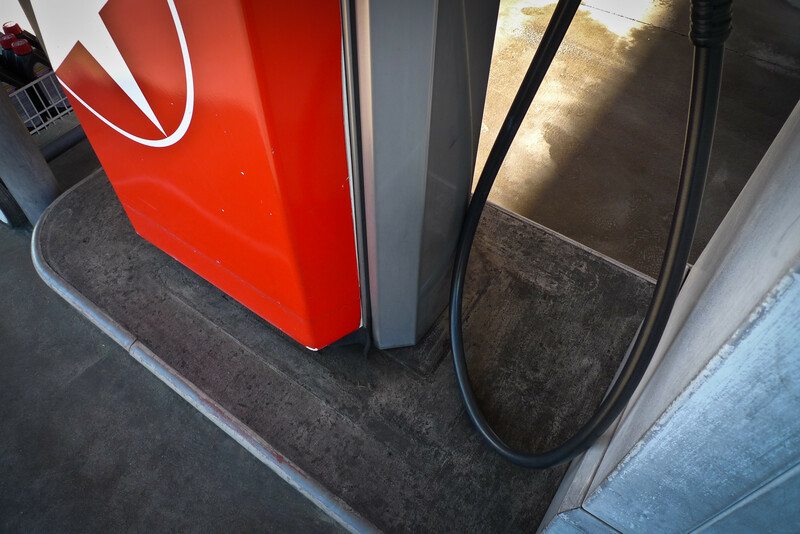 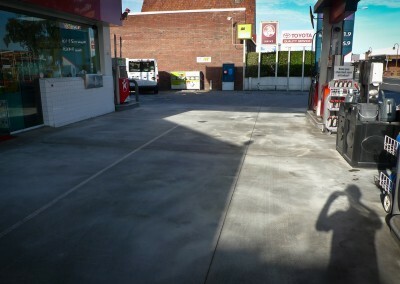 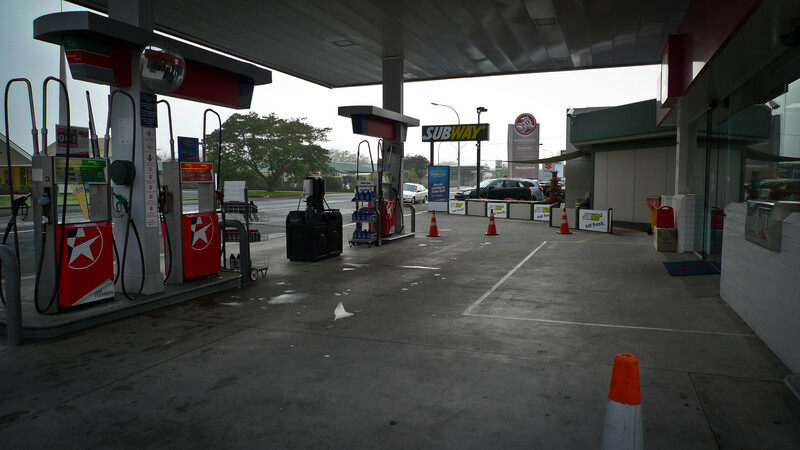 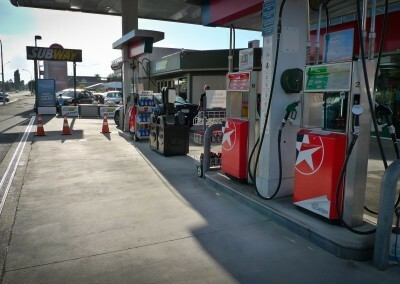 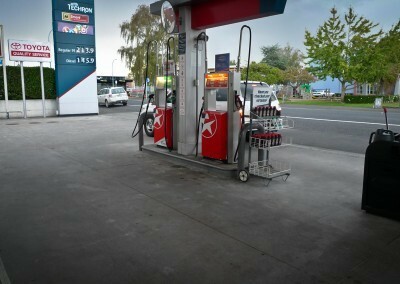 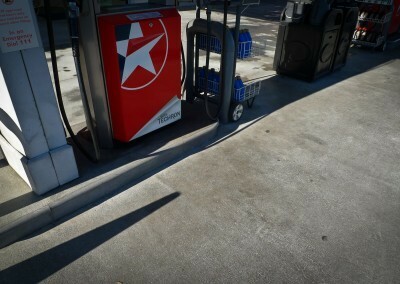 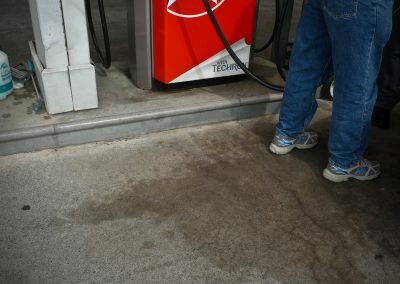 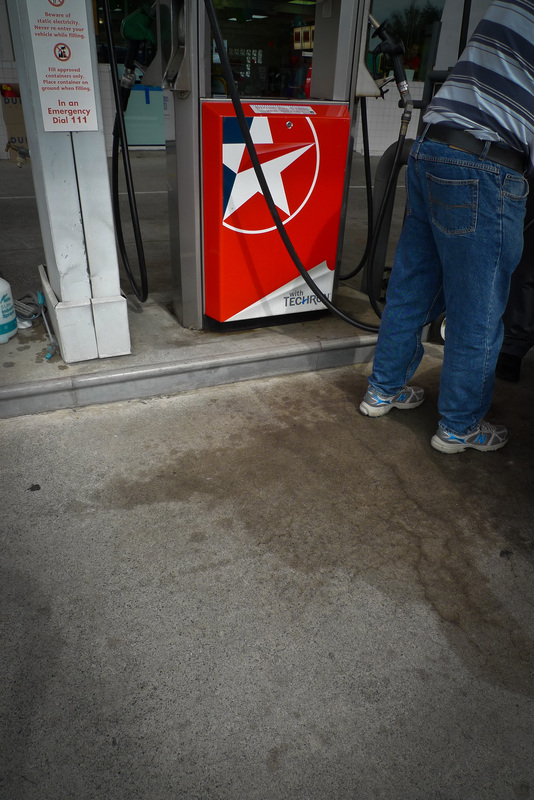 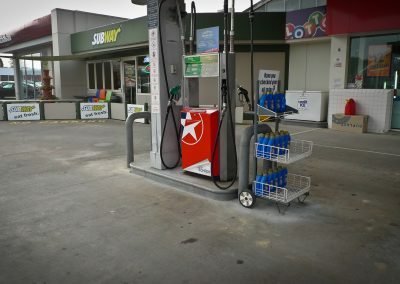 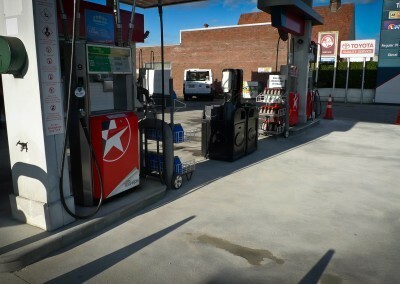 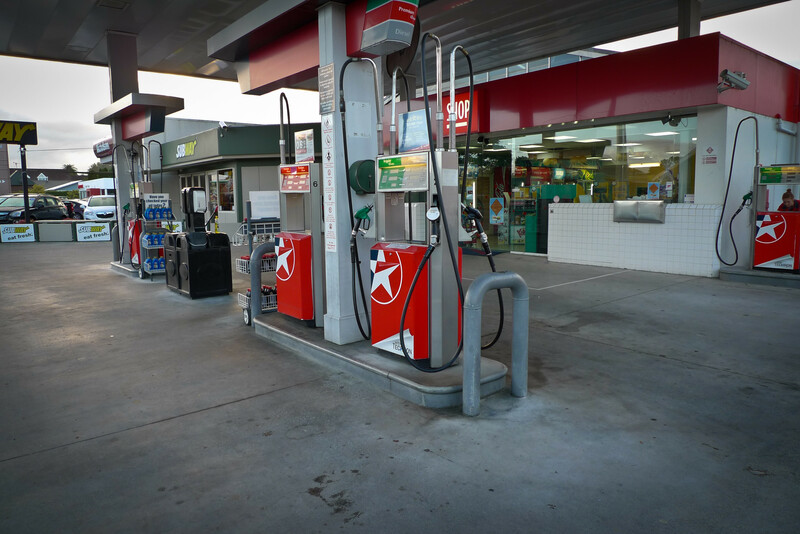 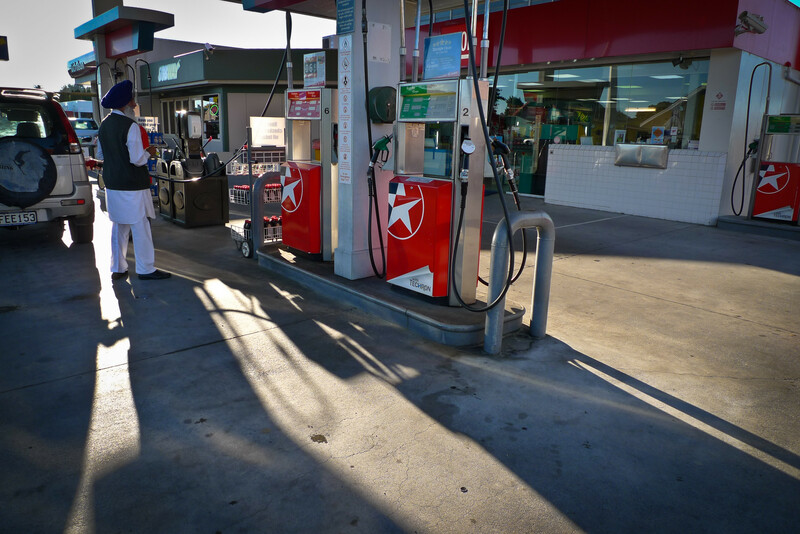 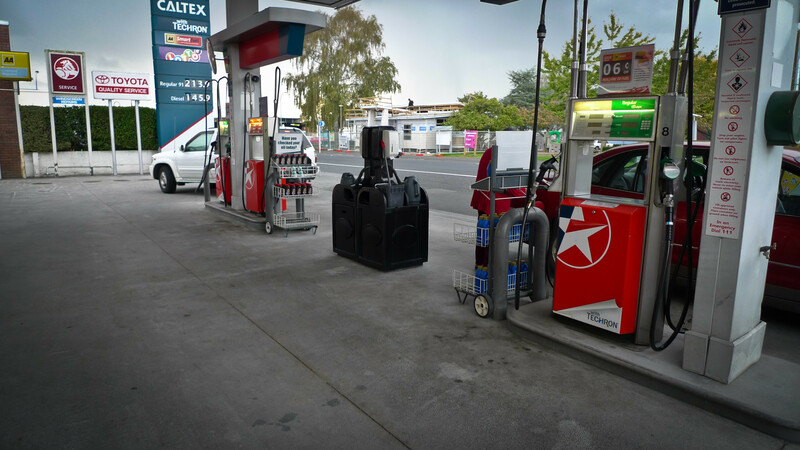 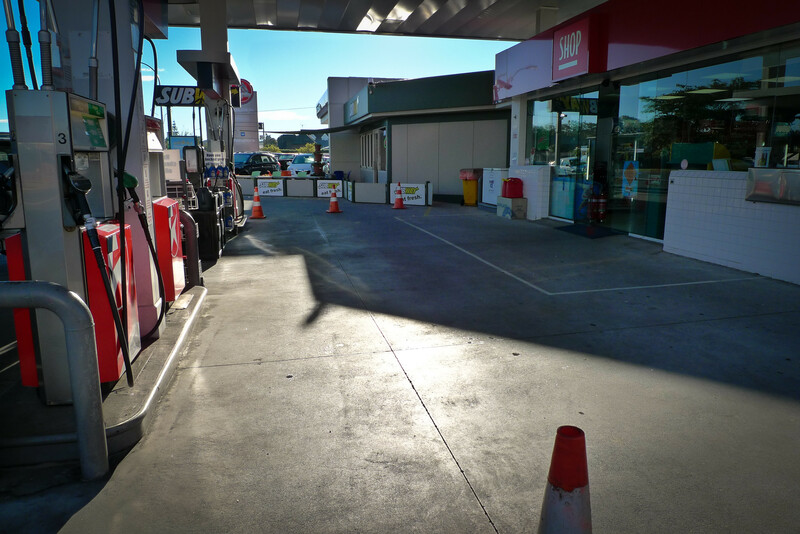 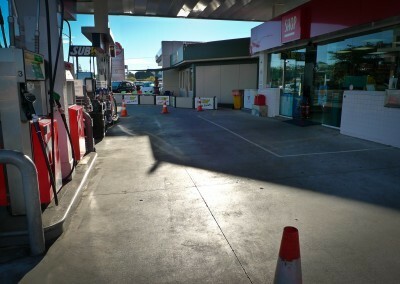 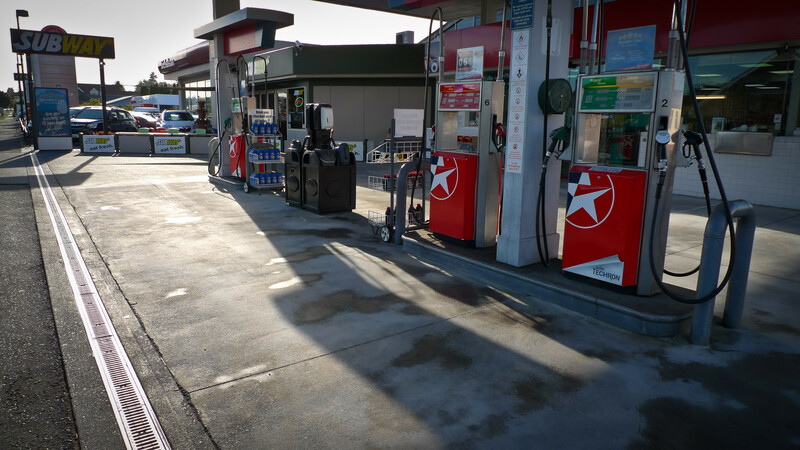 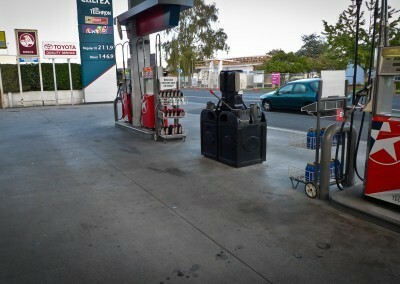 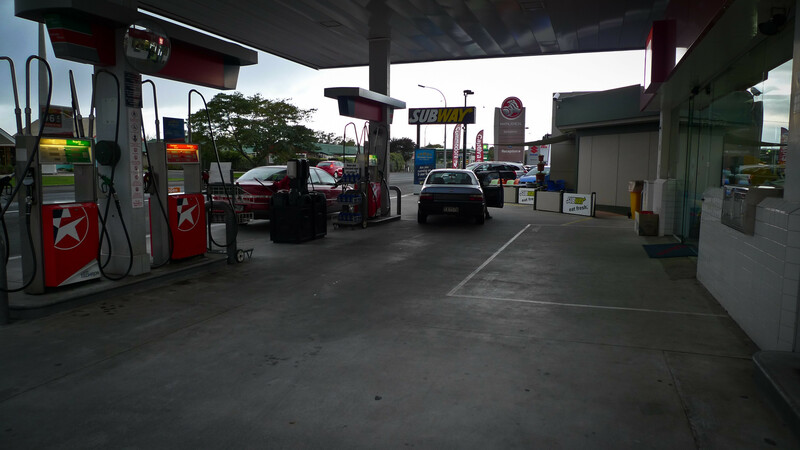 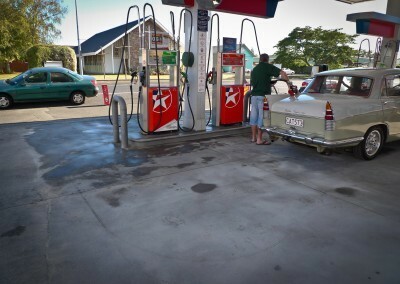 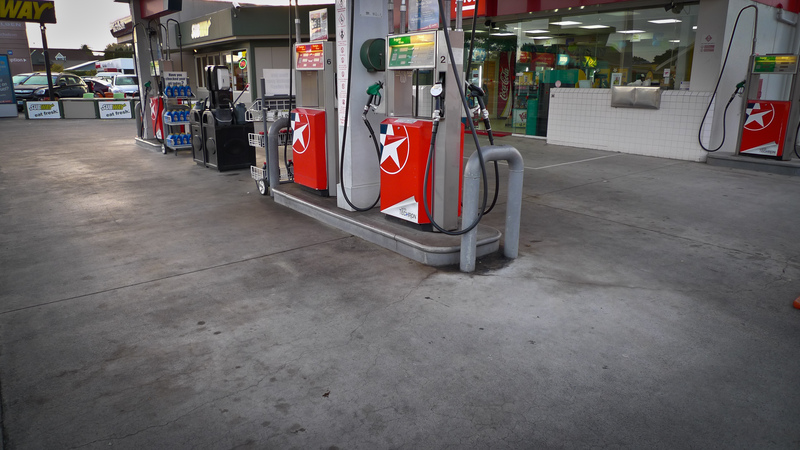 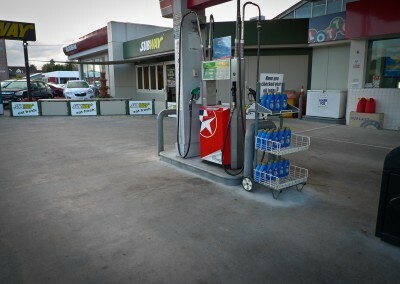 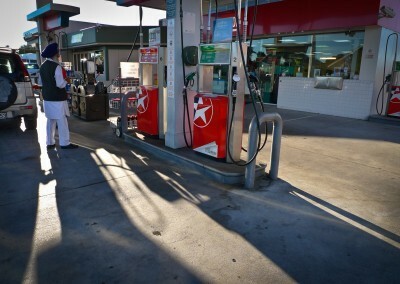 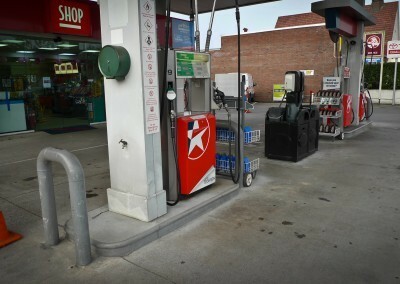 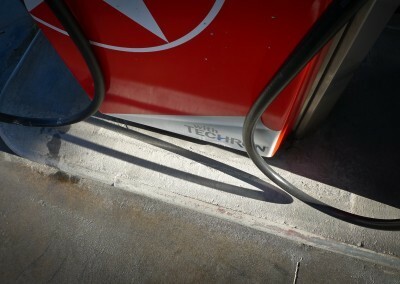 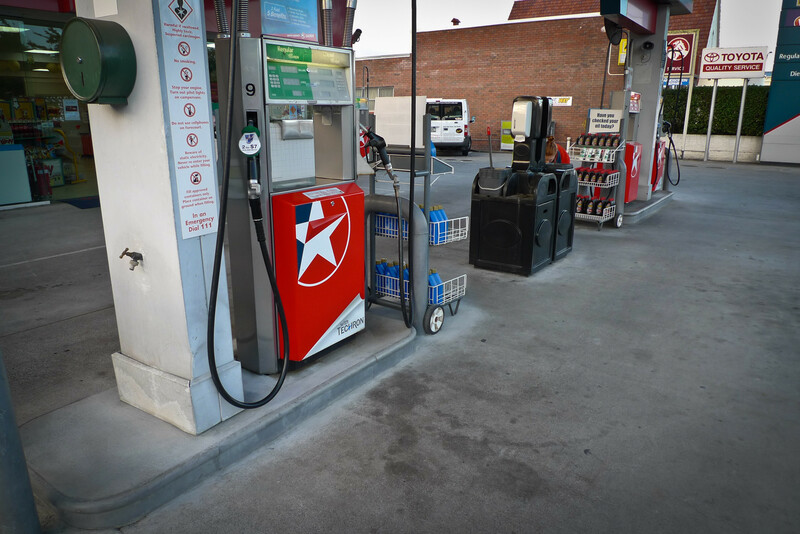 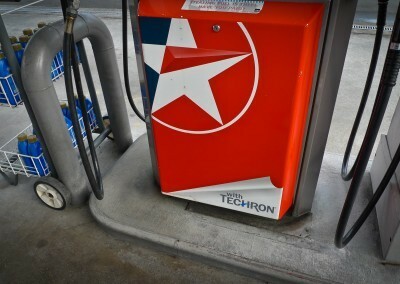 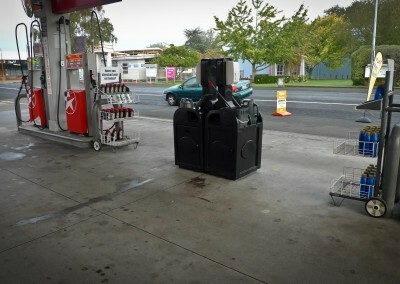 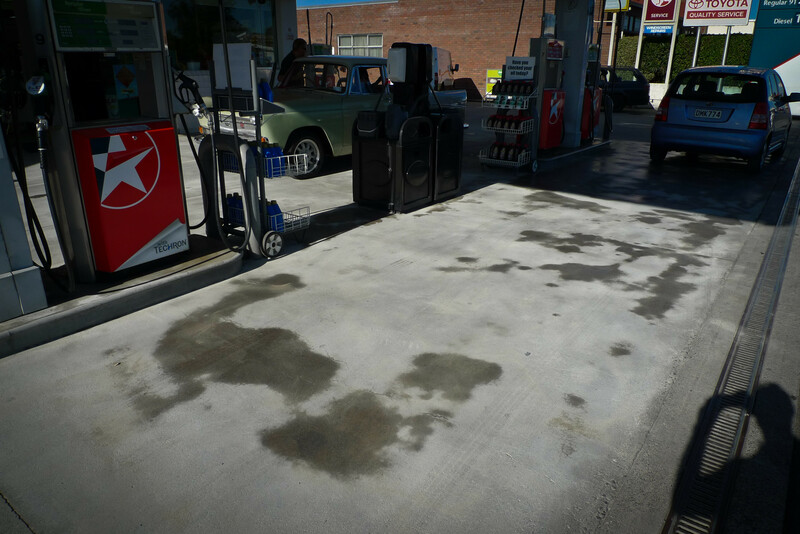 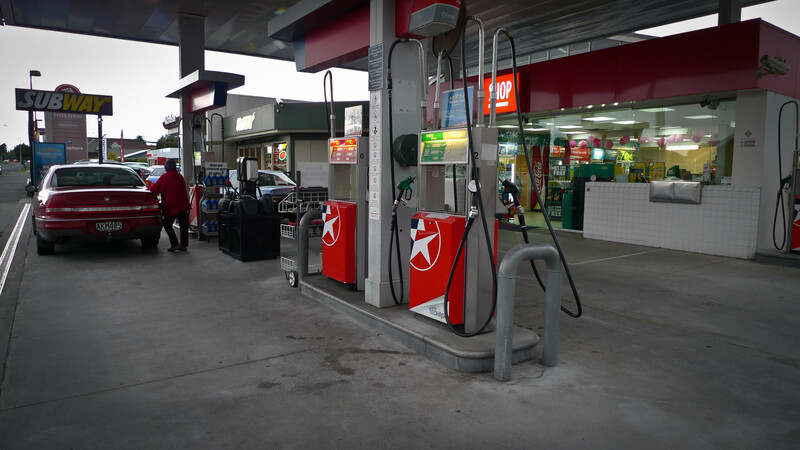 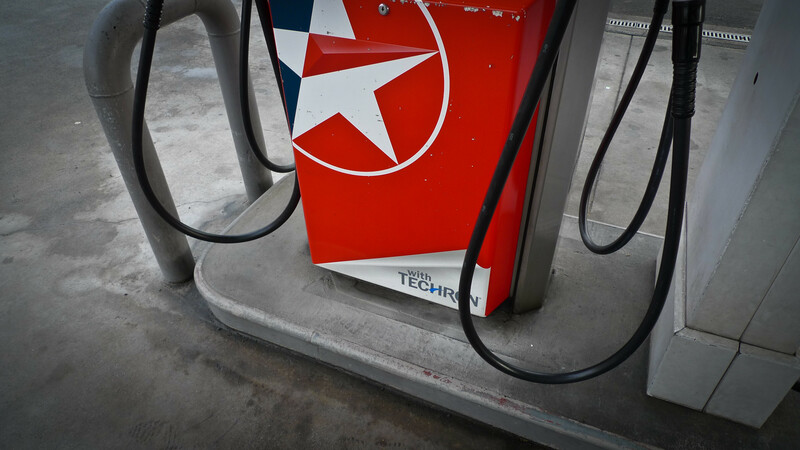 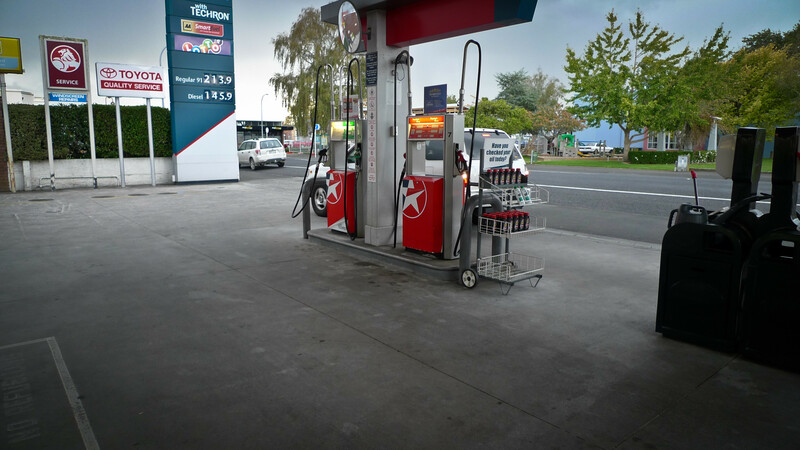 Onsite bioremediation of oil, petrol and diesel form service station forecourts. 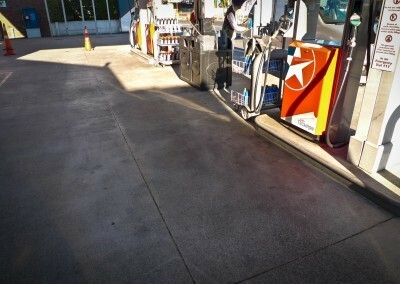 The images are over a one month period of the application in high traffic areas. 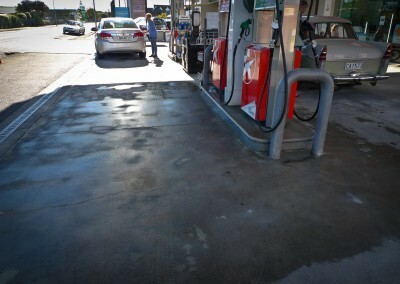 The remediation process was focused on the pump base and one vehicle car width from the pump base.